Lies on the delta of the Rio Cannero like a half moon in the lake. 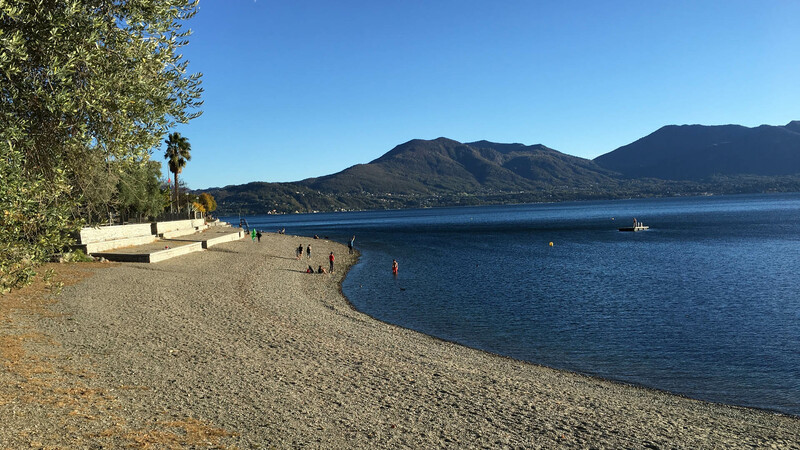 Facing south and protected by the mountains it is being pampered by an especially mild climate, from here derives the surname “Riviera”. 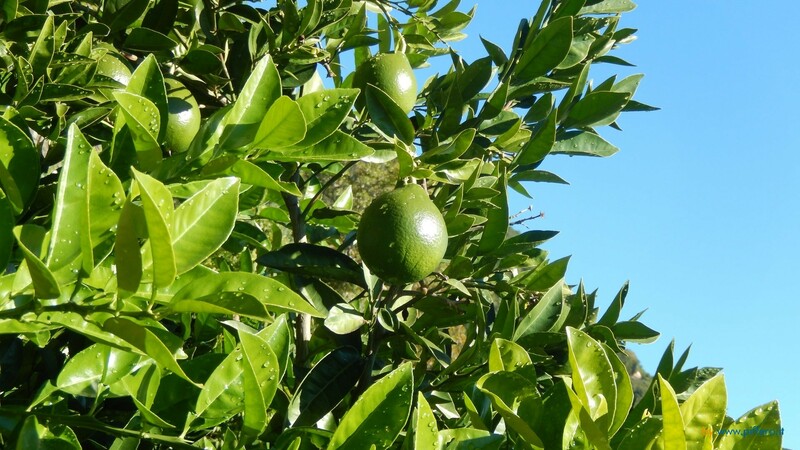 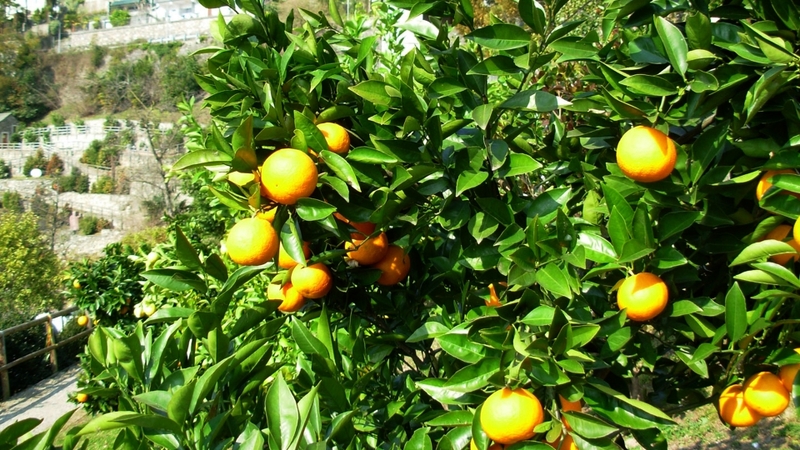 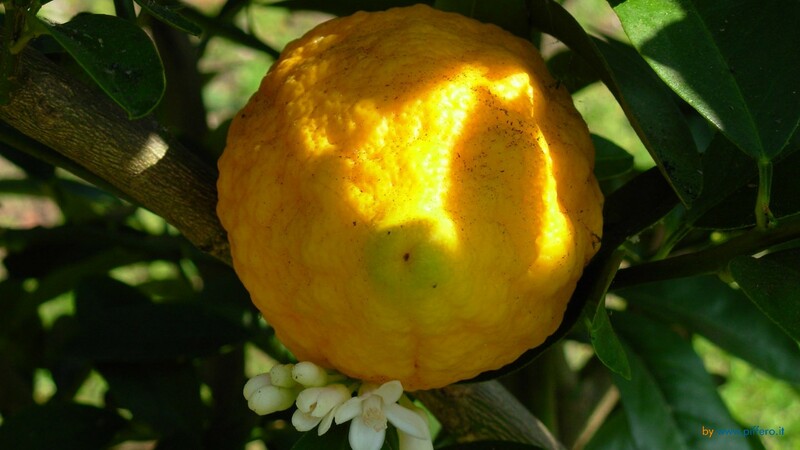 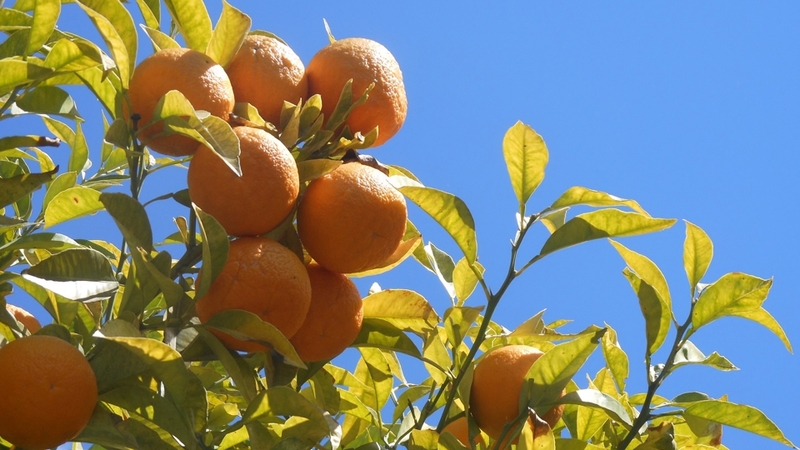 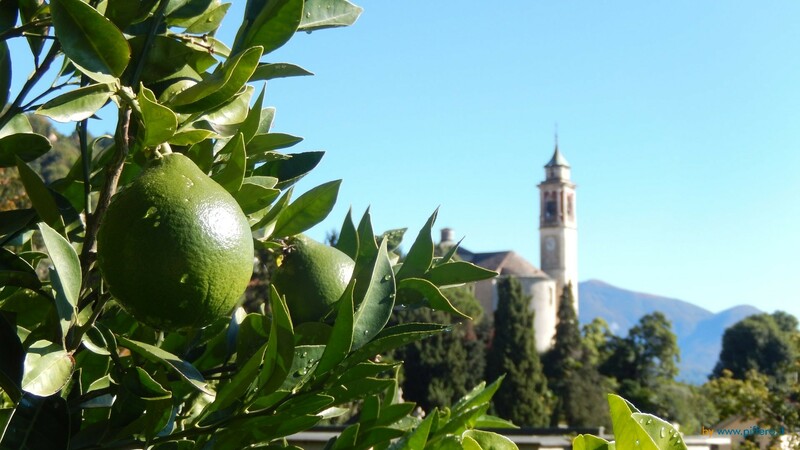 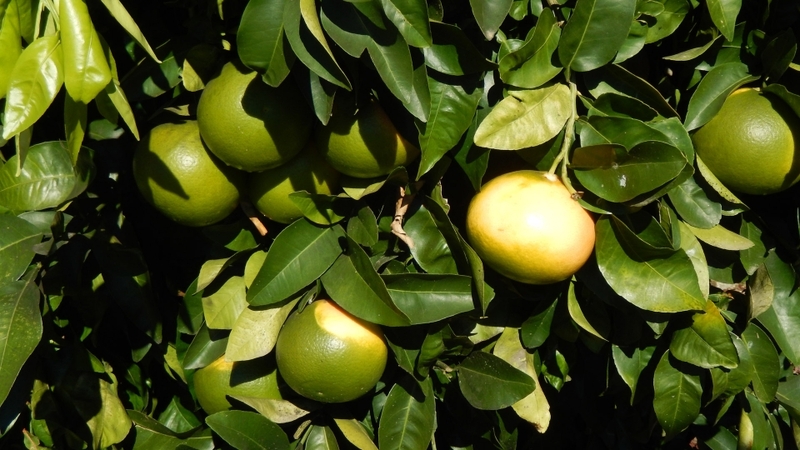 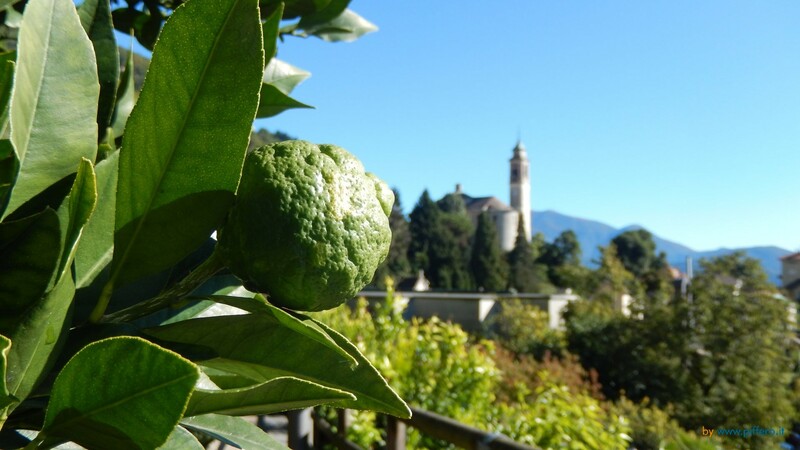 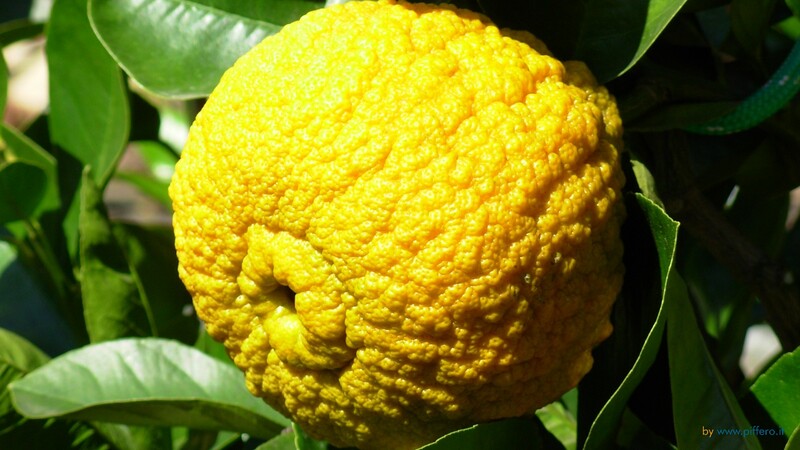 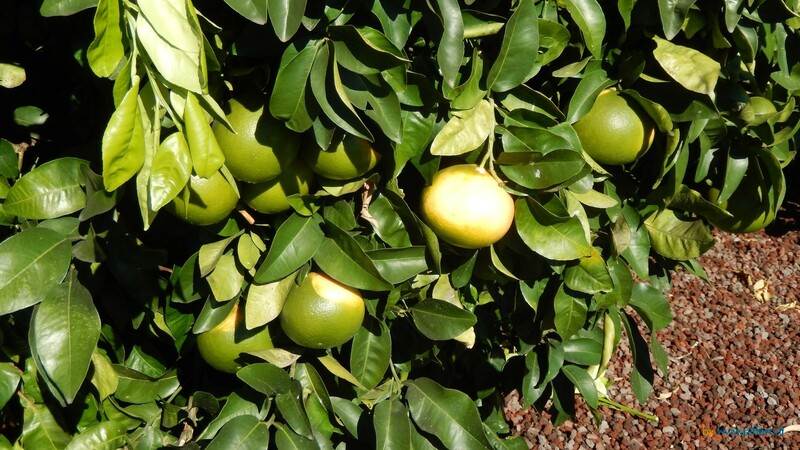 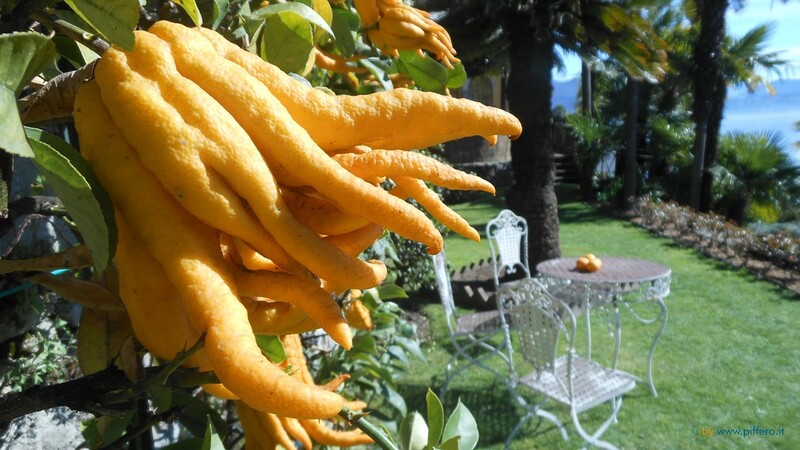 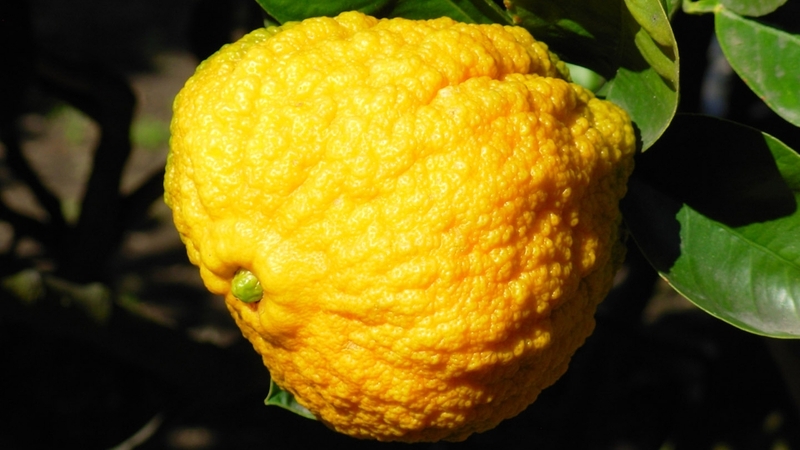 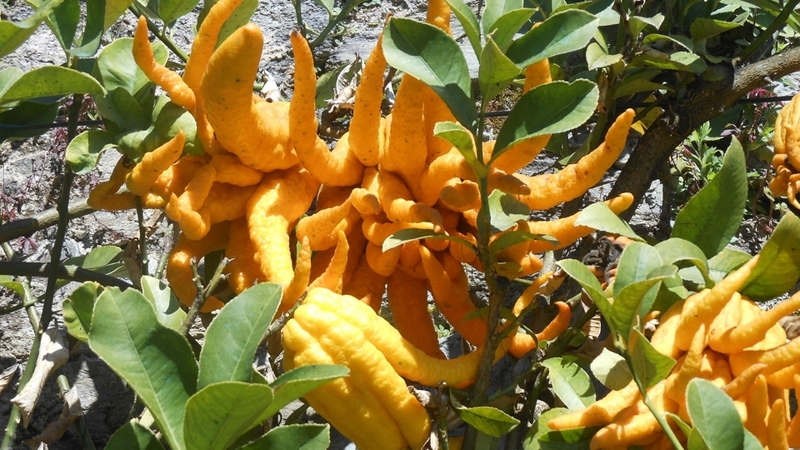 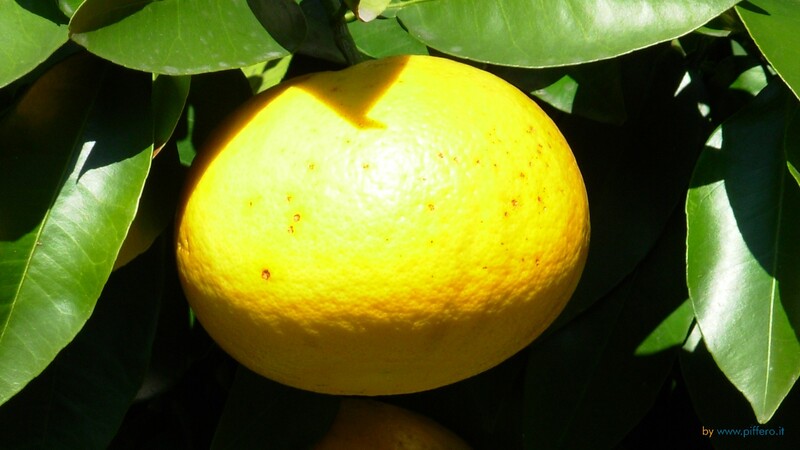 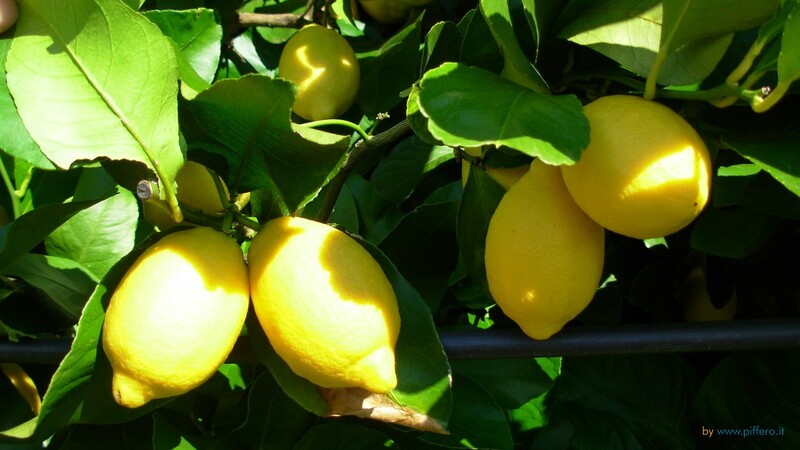 The vegetation is unusual for a northern Italian zone: here thrive lemons, oranges, olives, mimosas, bougainvilleas and even bananas. 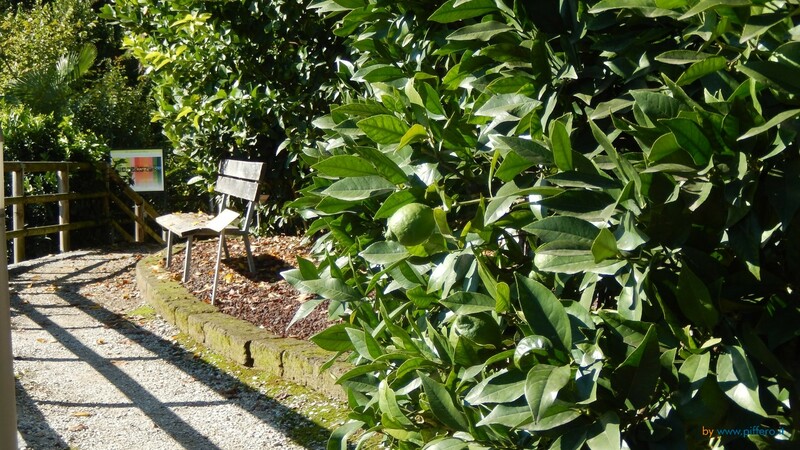 The area is known far beyond its borders for the camellias, rhododendrons and azaleas; the yearly camellia show in March attracts flower lovers from all over the world. 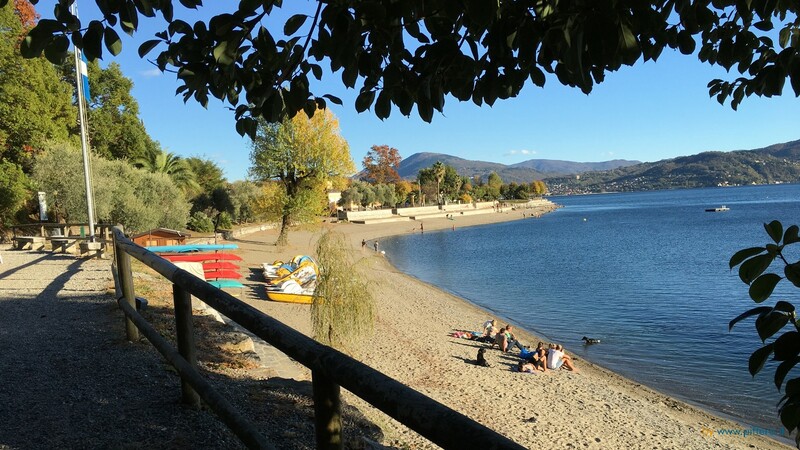 In springtime Cannero Riviera is bathed in a sea of colours from all the shrubs and trees; in autumn one thinks to be in Indian summer. 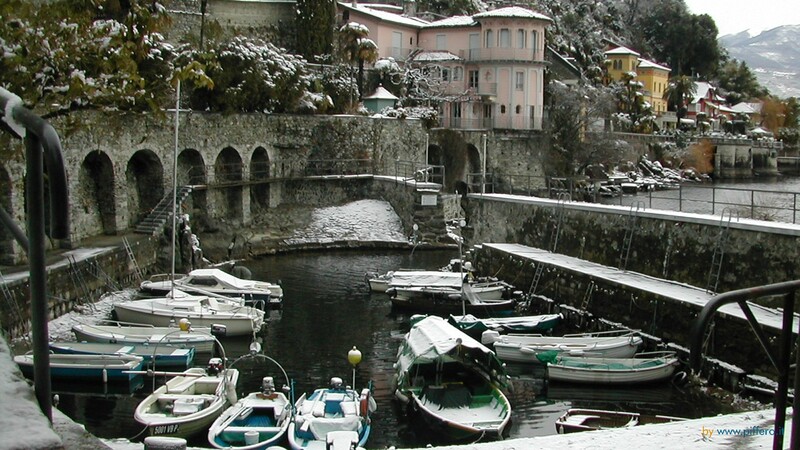 The original old centre of town with its narrow lanes and alleys was in medieval times a fisher hamlet and seat of a cloister. 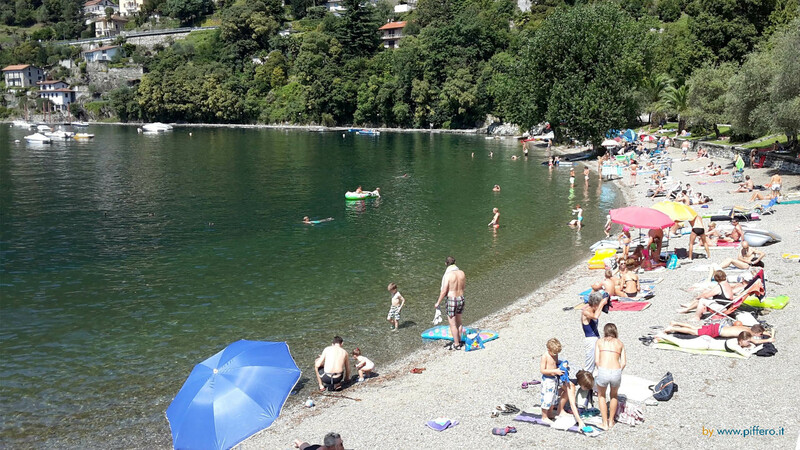 Because the main lake road runs outside the village, it is an ideal, quiet place for families with children. 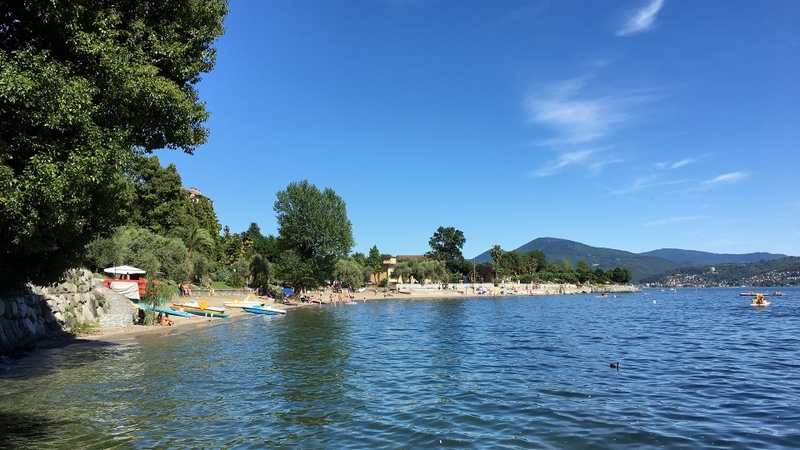 Especially beautiful is the promenade, shaded by evergreen magnolias, and the lido with its well tended gravel beach, rewarded by the European Community with the “Blue Banner” in 2005. Playground, lido and beach volley ground can freely be used by anyone. 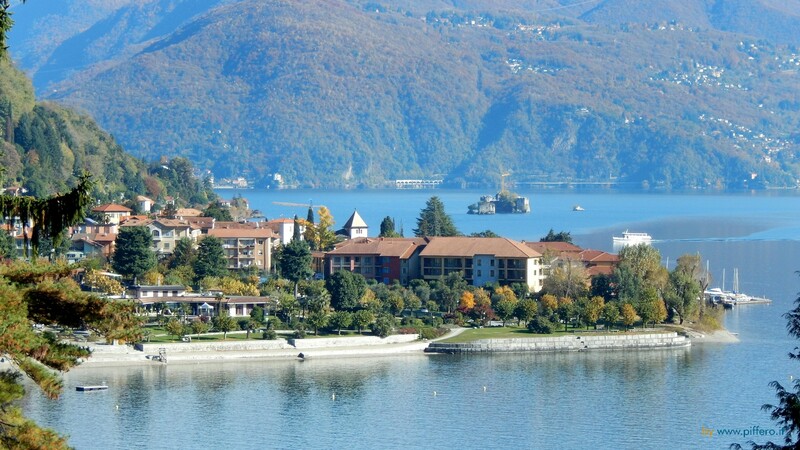 Hotels and restaurants (with garden- and lake terraces) in all price categories invite you enjoy Italian specialties. 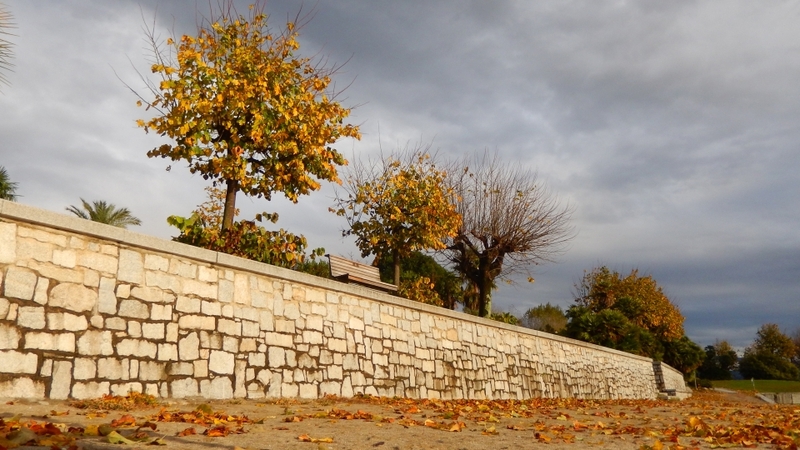 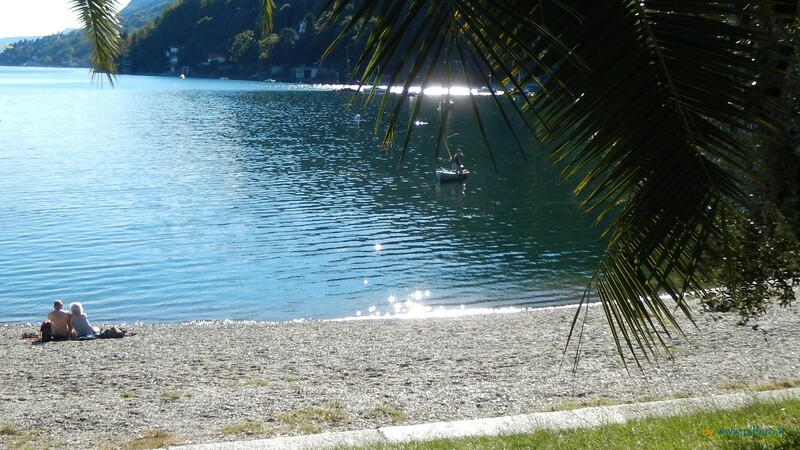 Located near the lido in an exceptional position is a small but well-kept camping area. 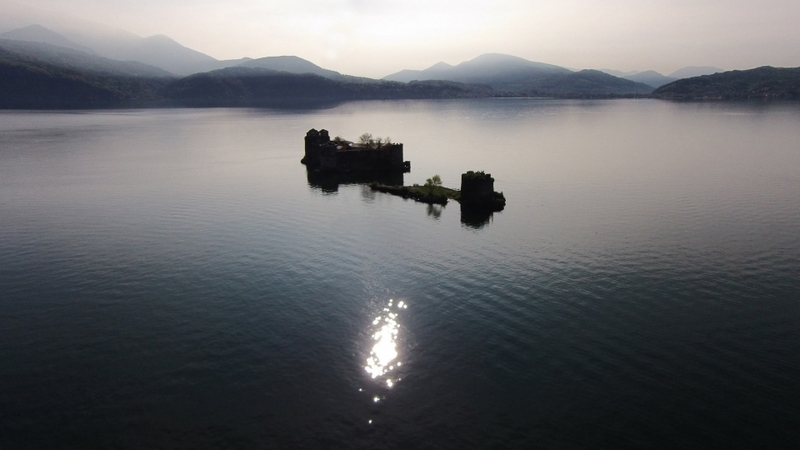 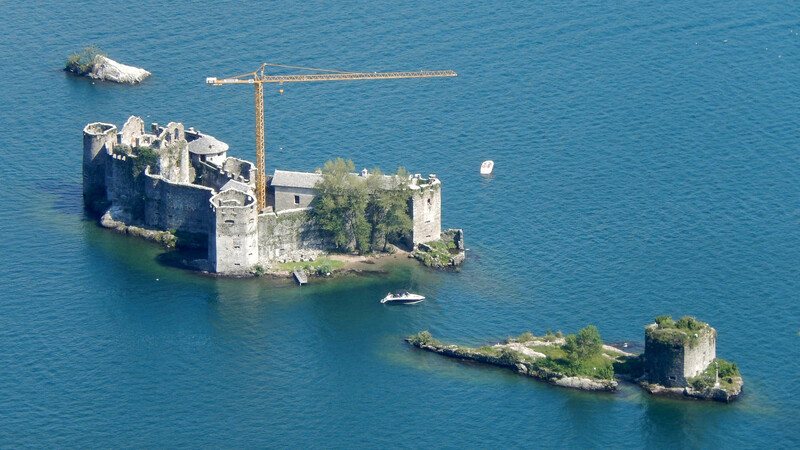 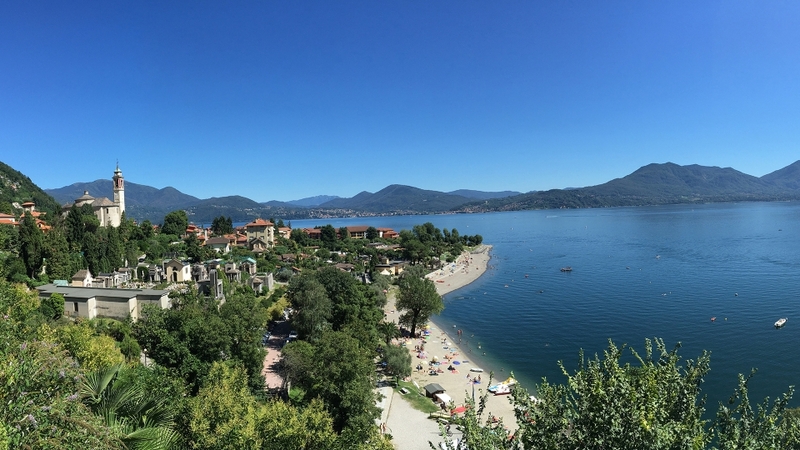 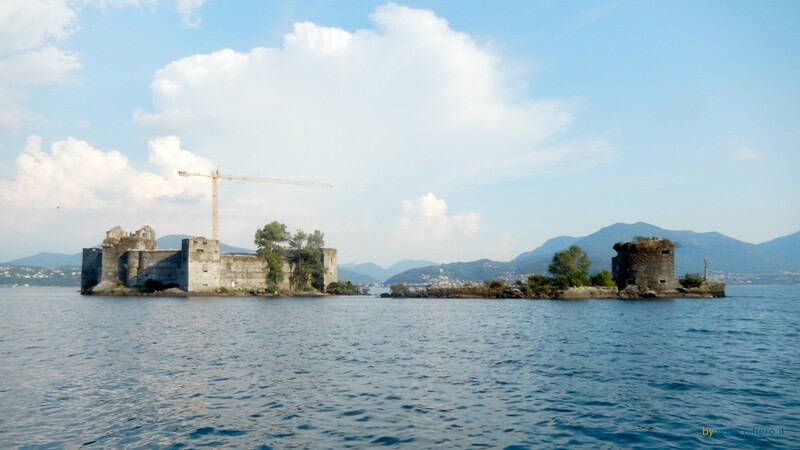 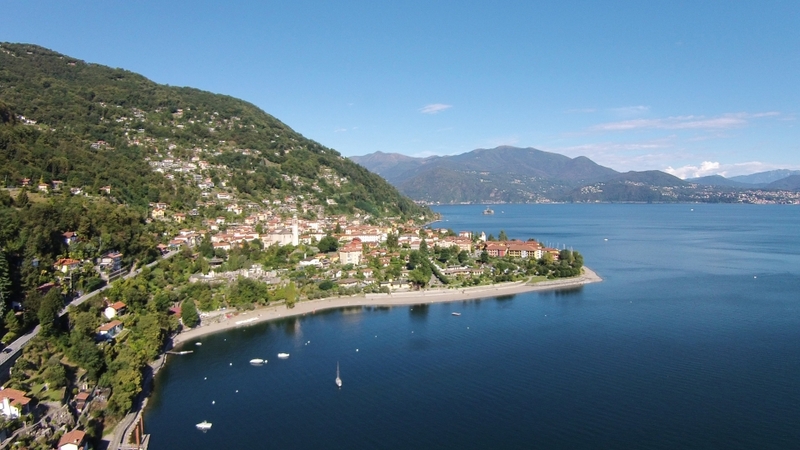 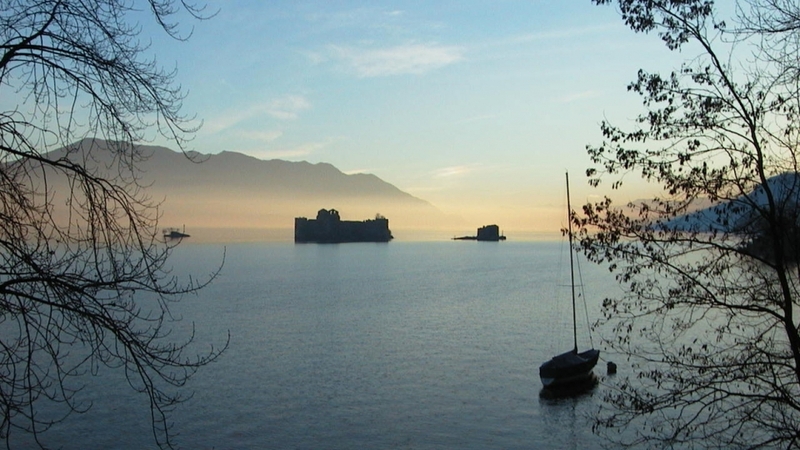 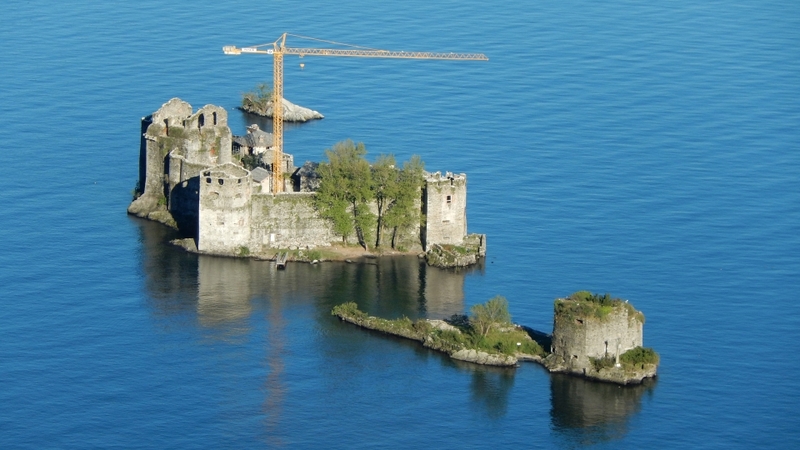 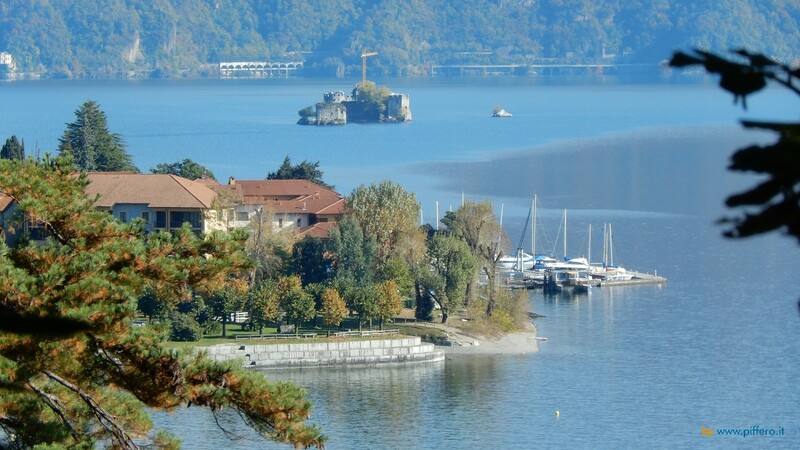 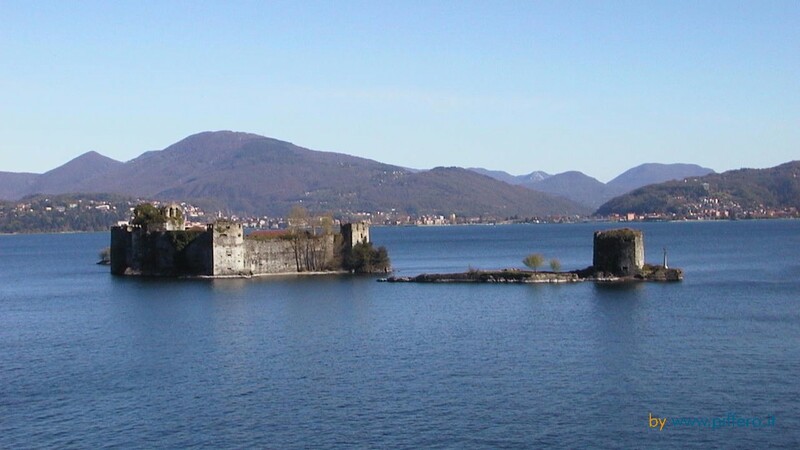 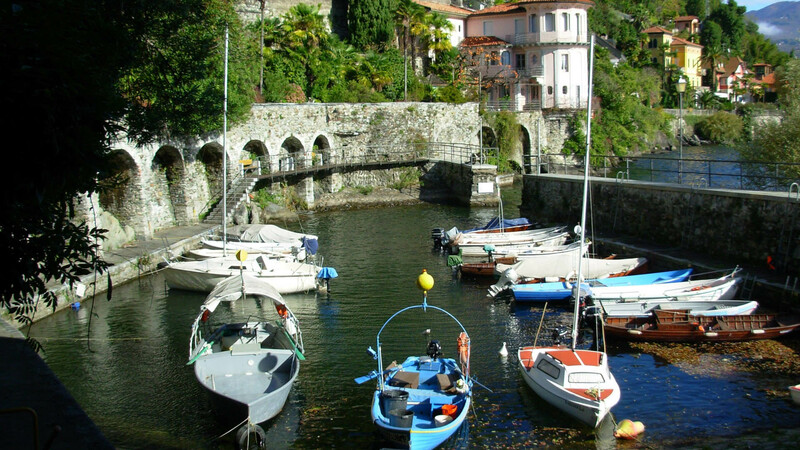 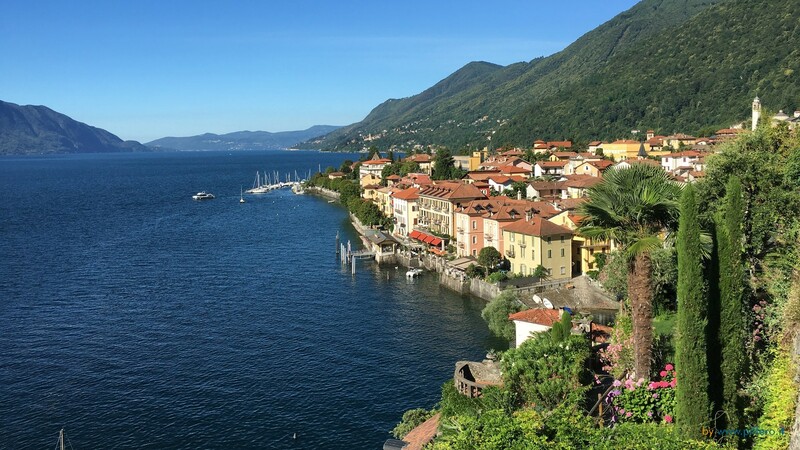 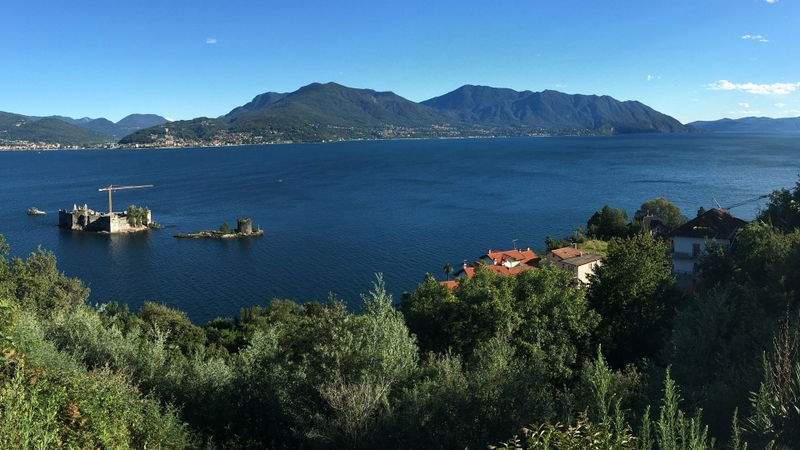 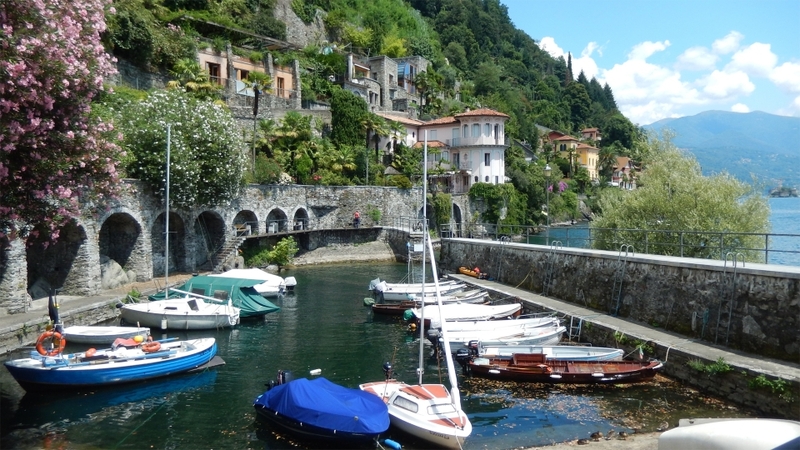 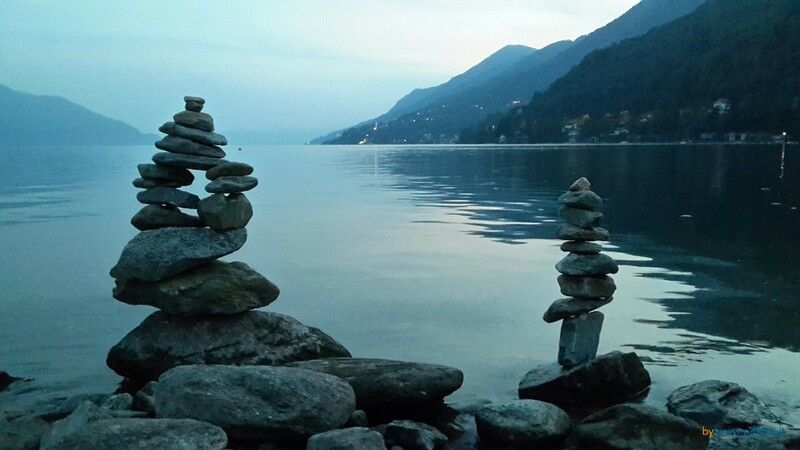 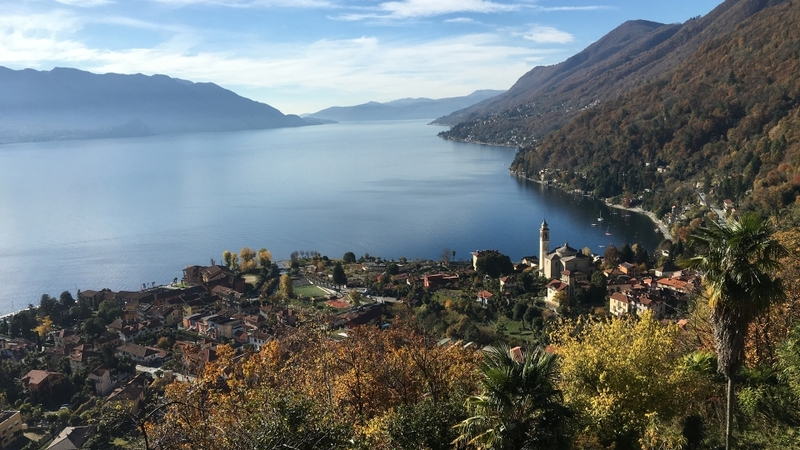 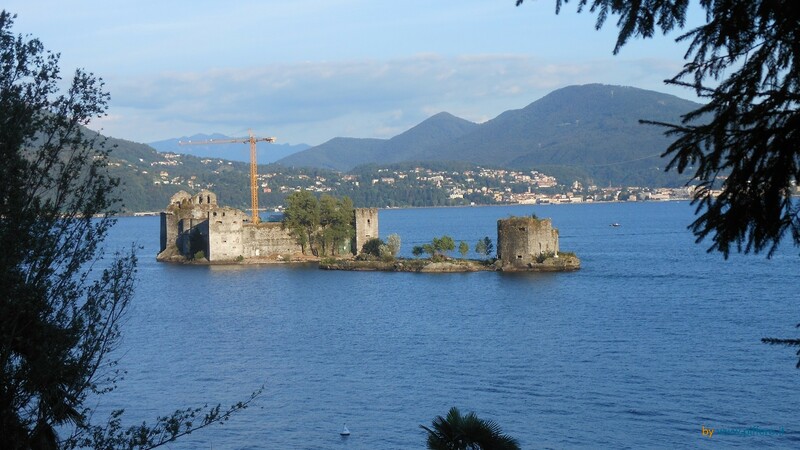 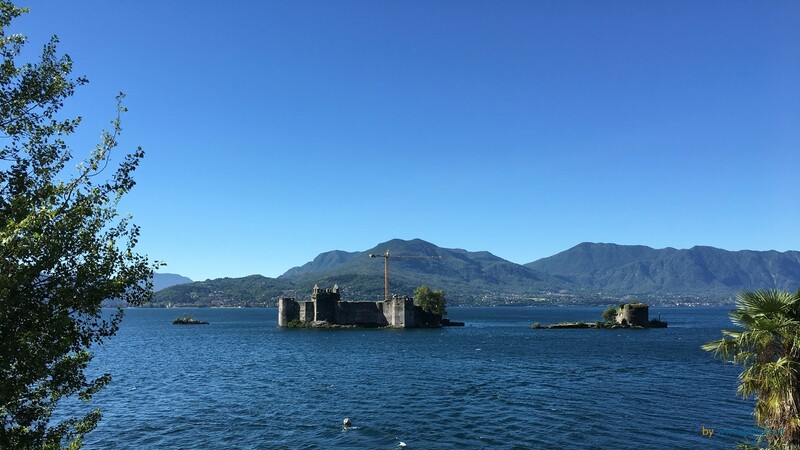 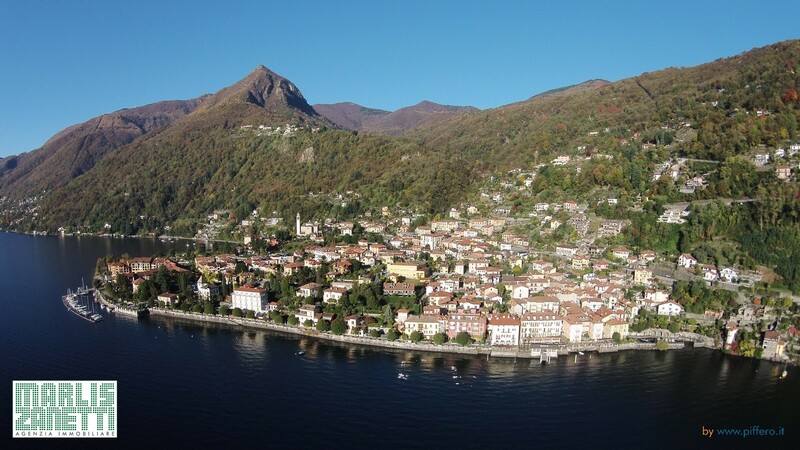 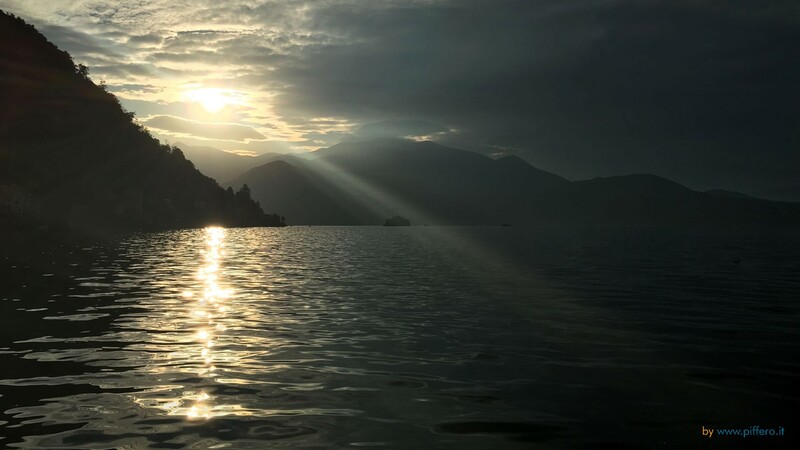 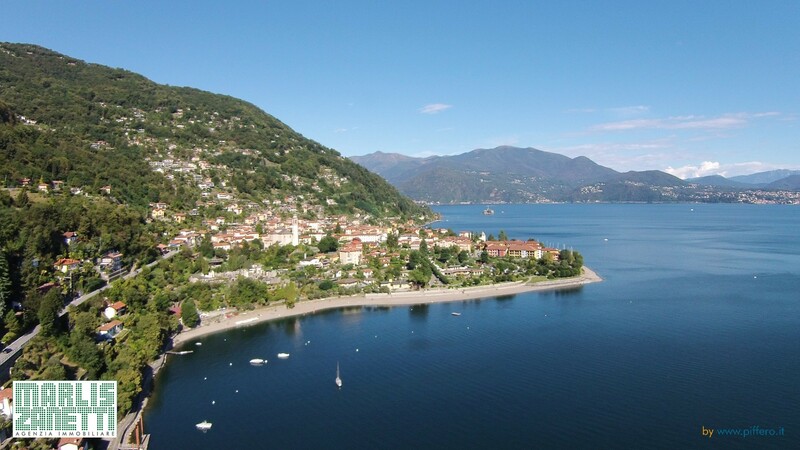 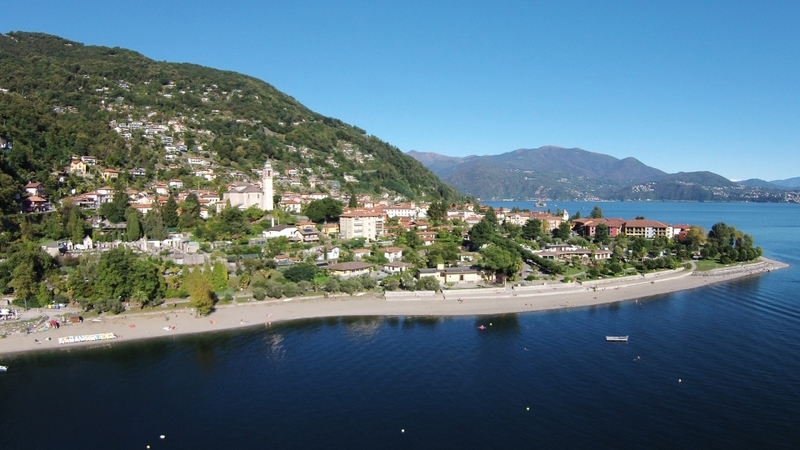 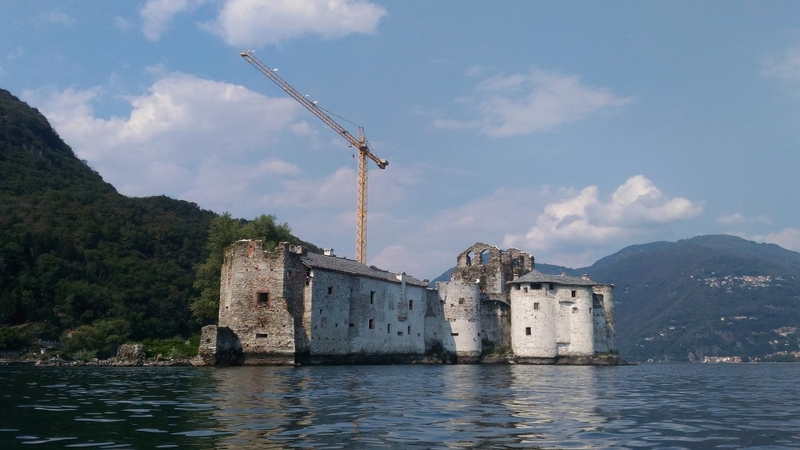 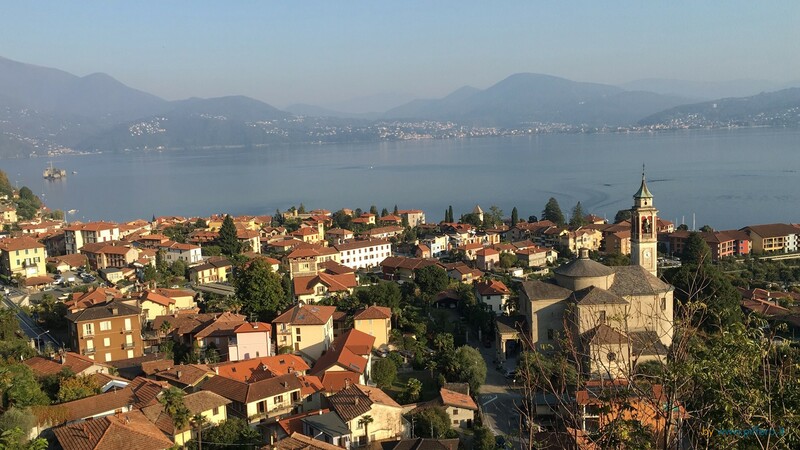 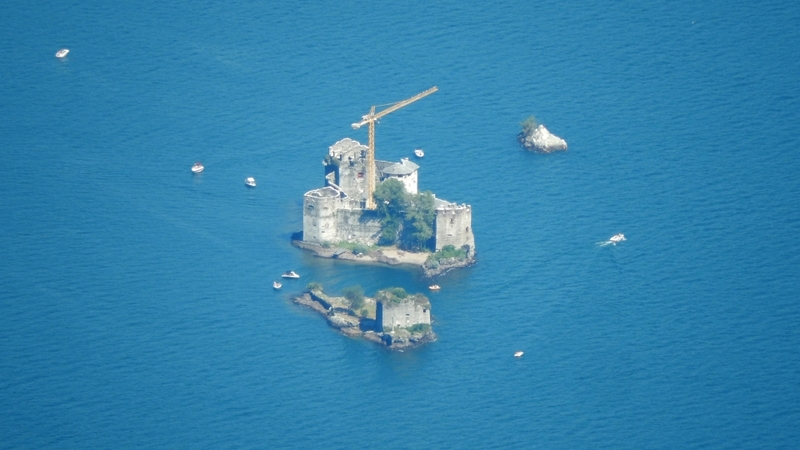 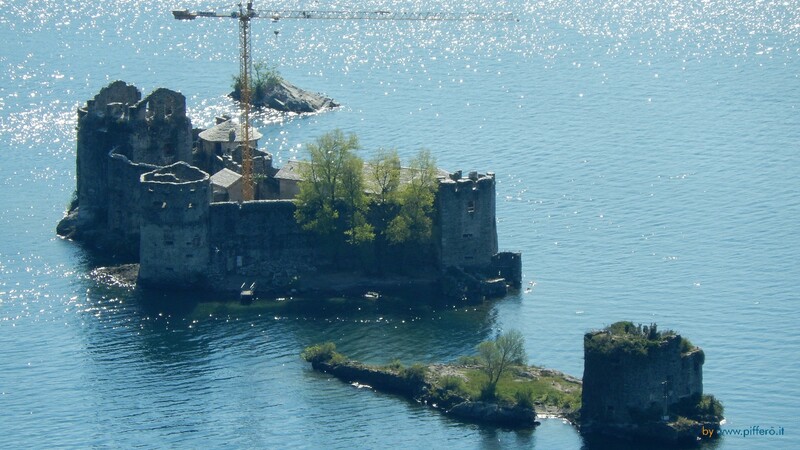 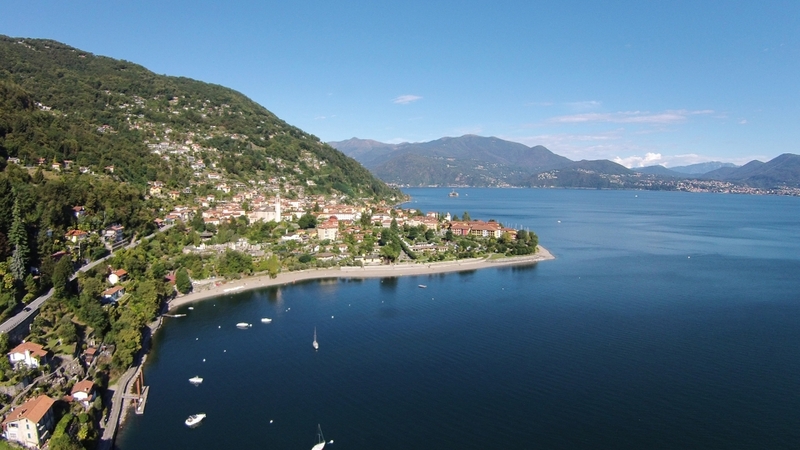 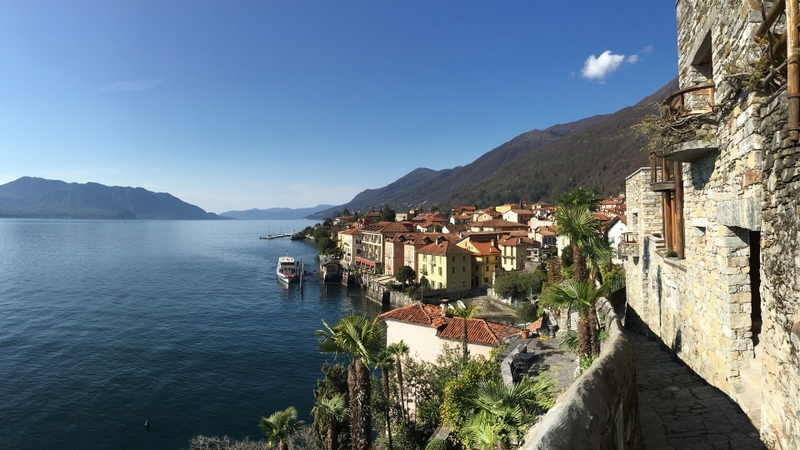 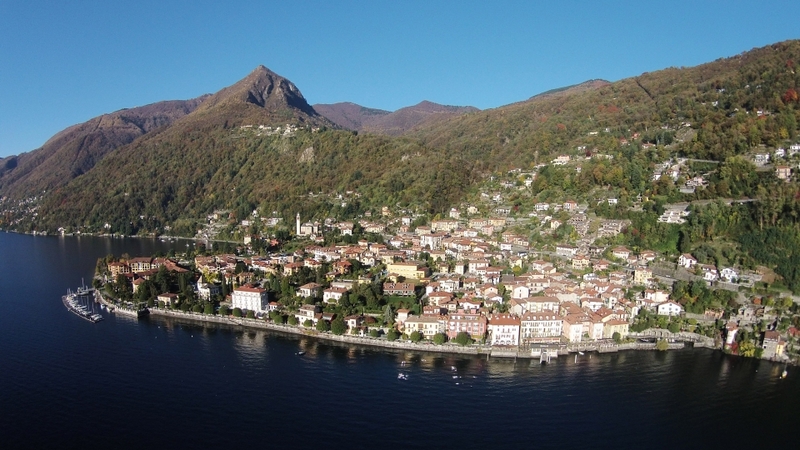 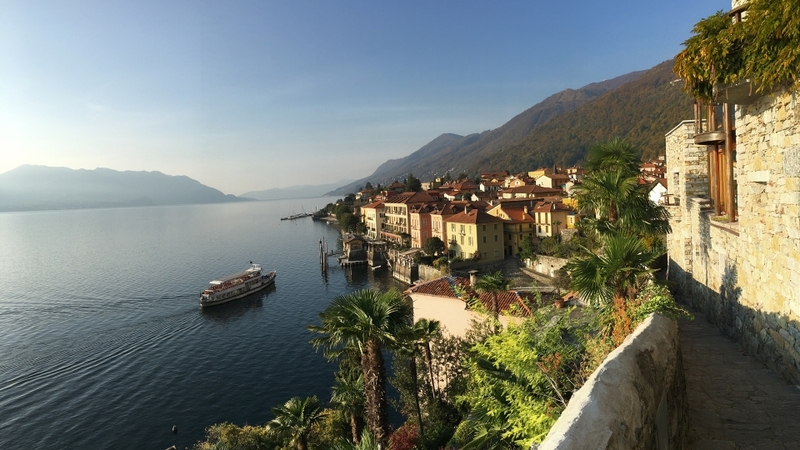 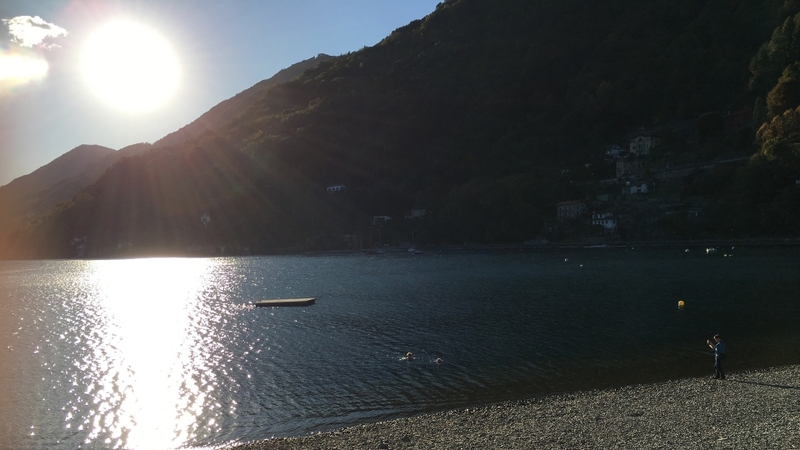 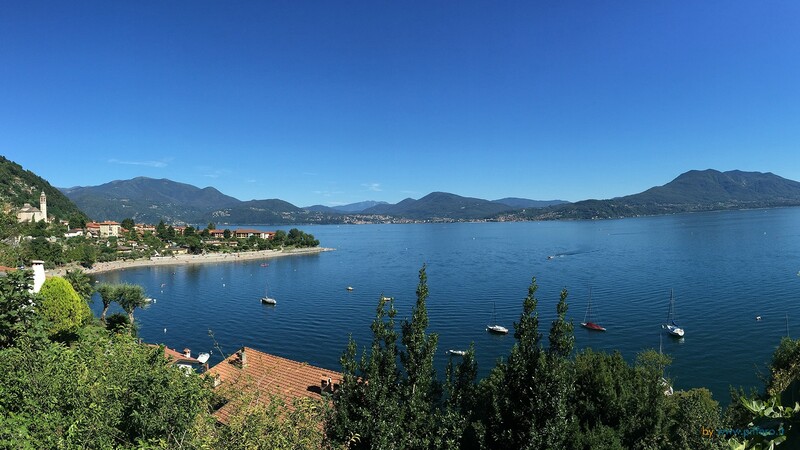 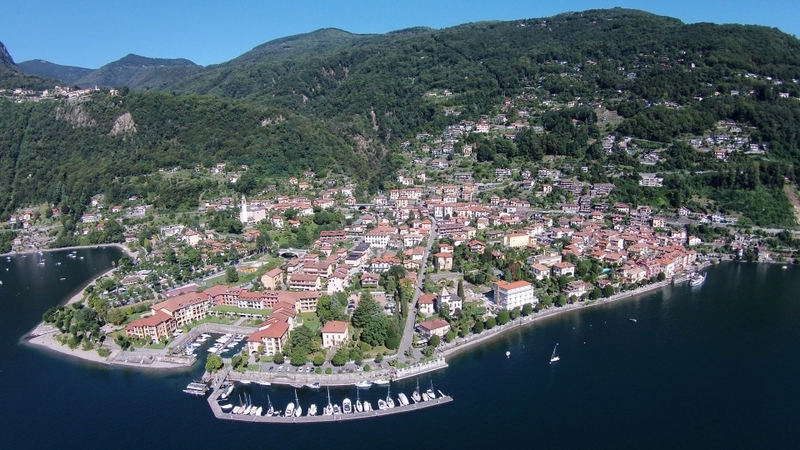 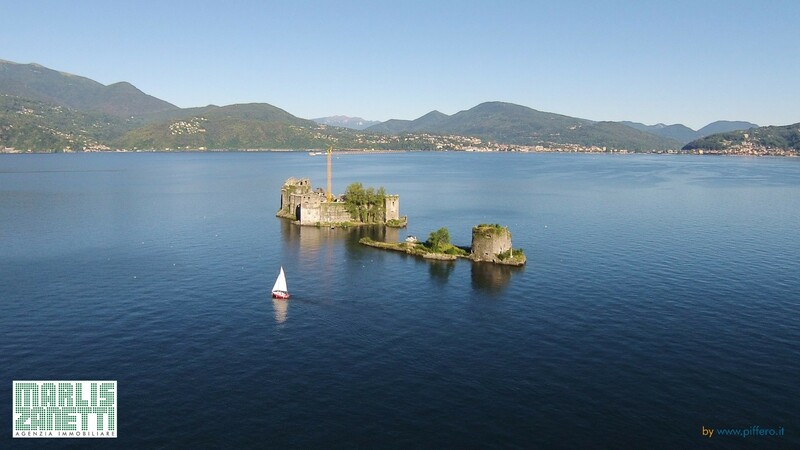 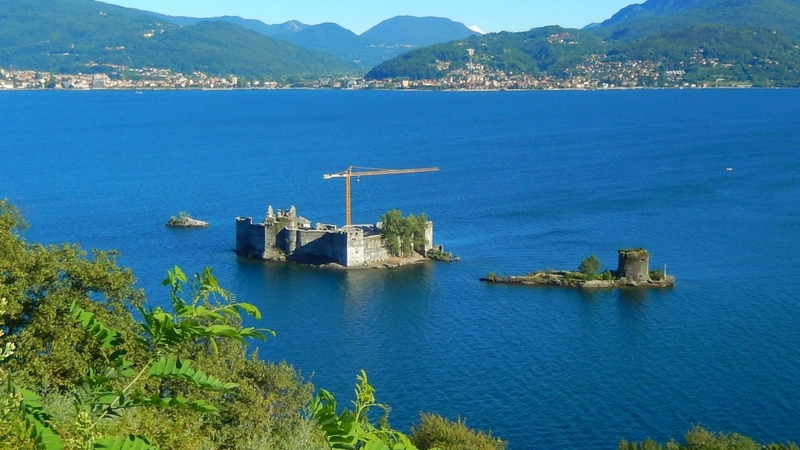 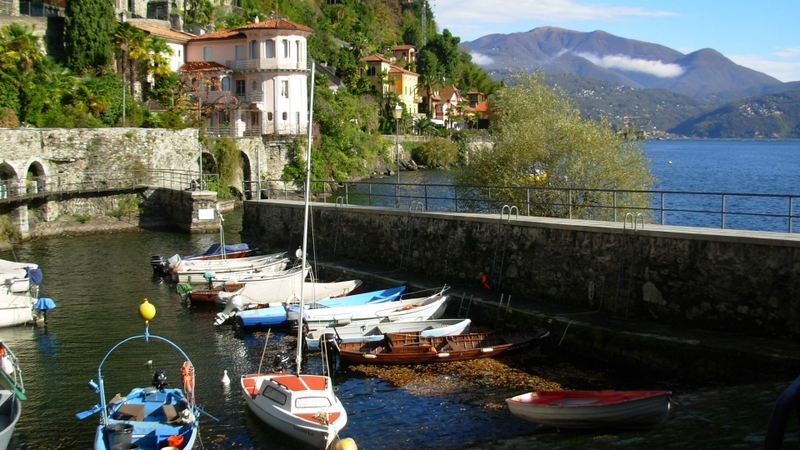 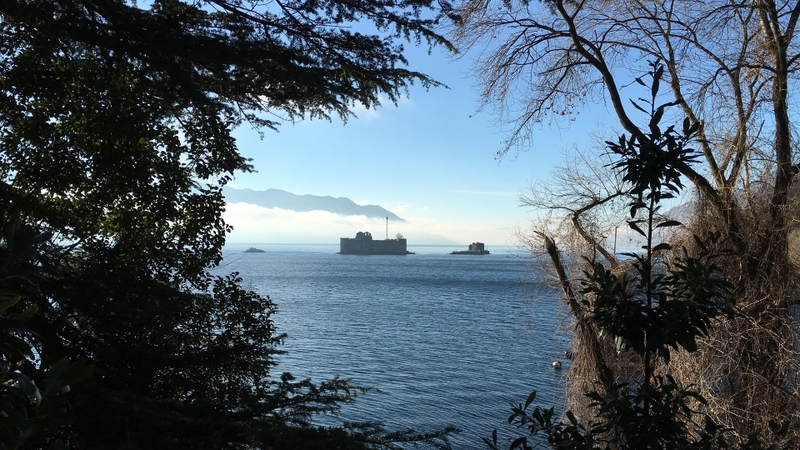 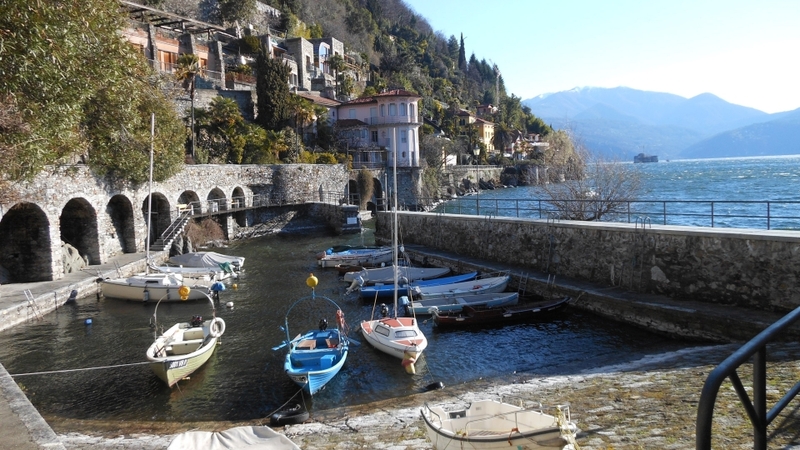 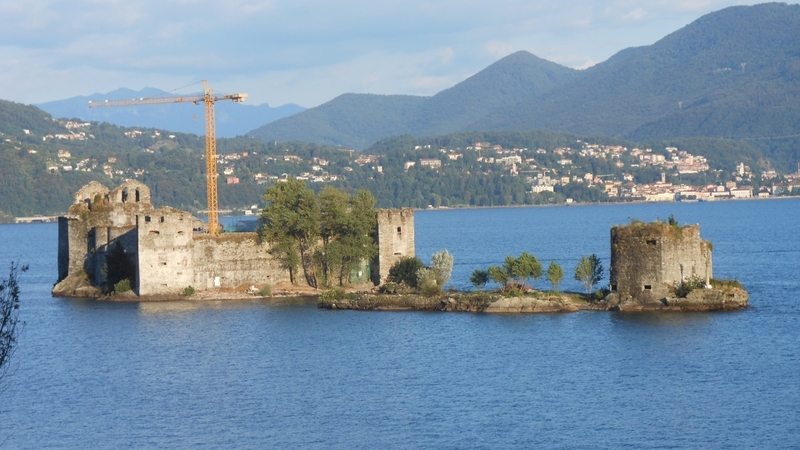 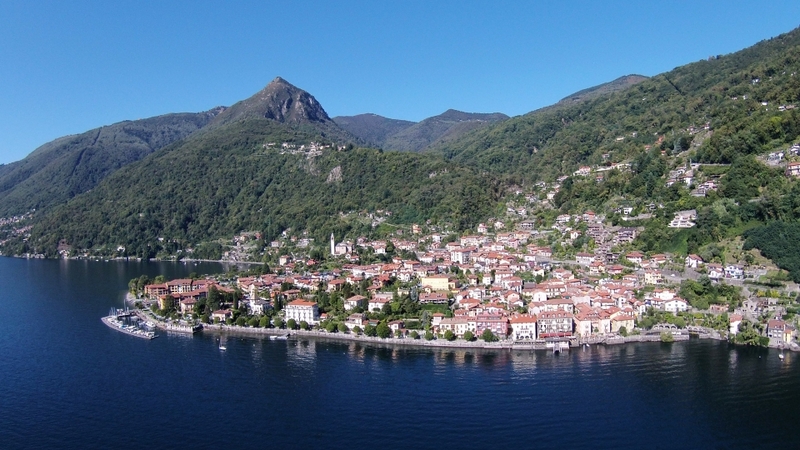 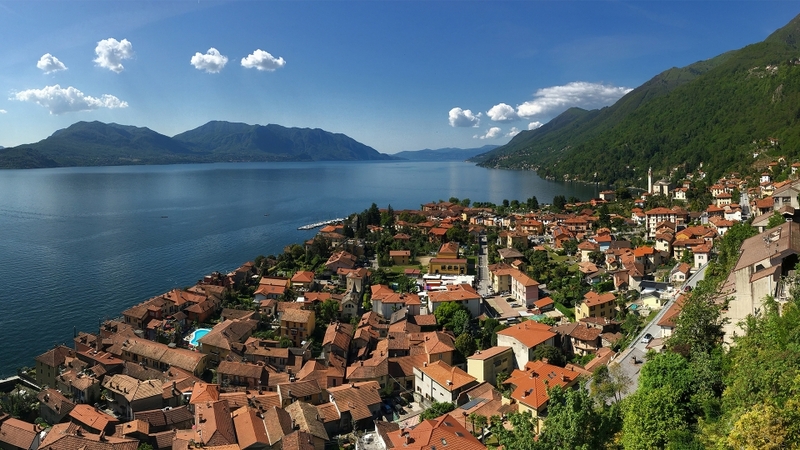 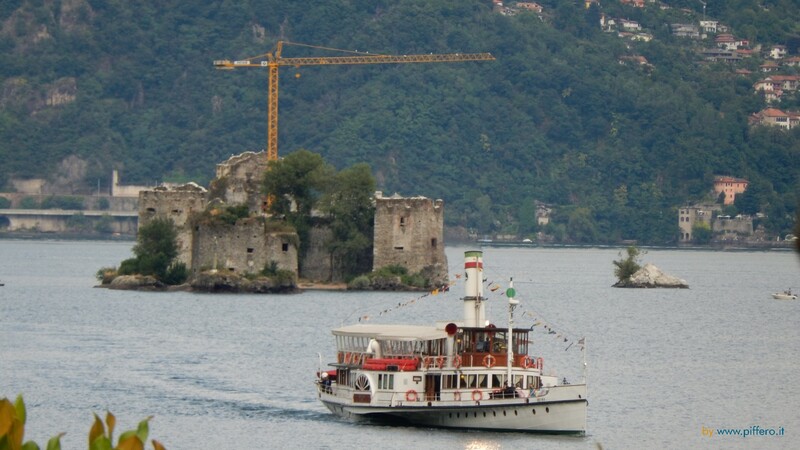 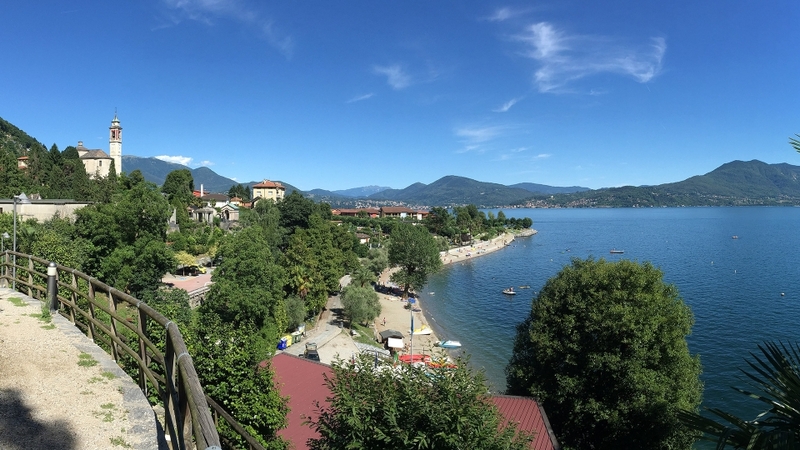 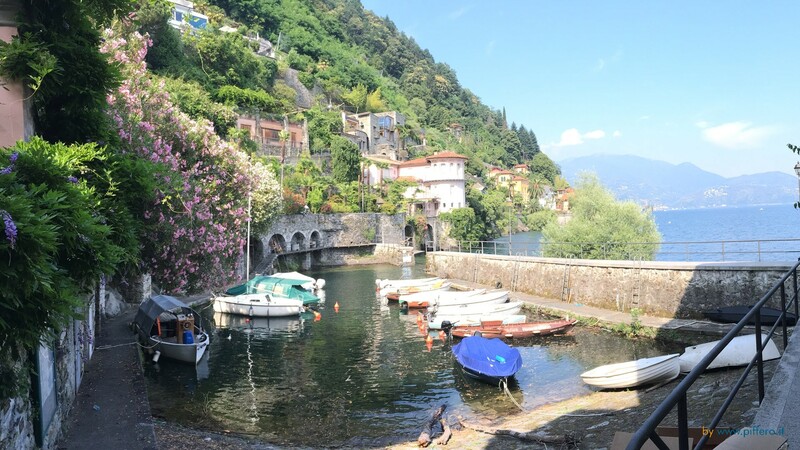 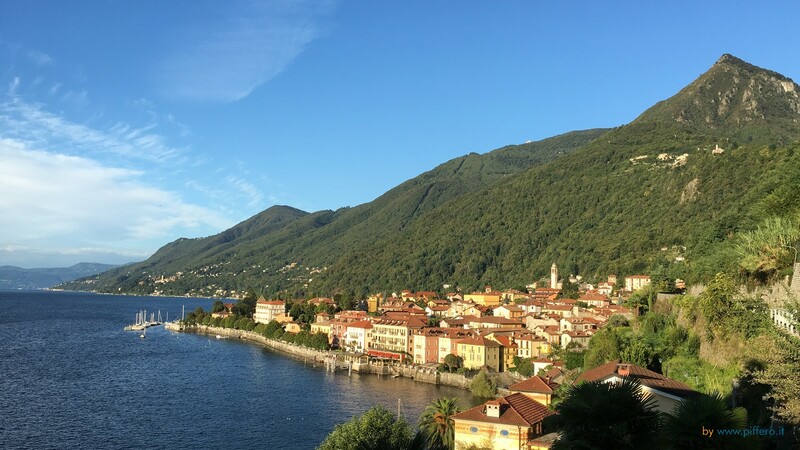 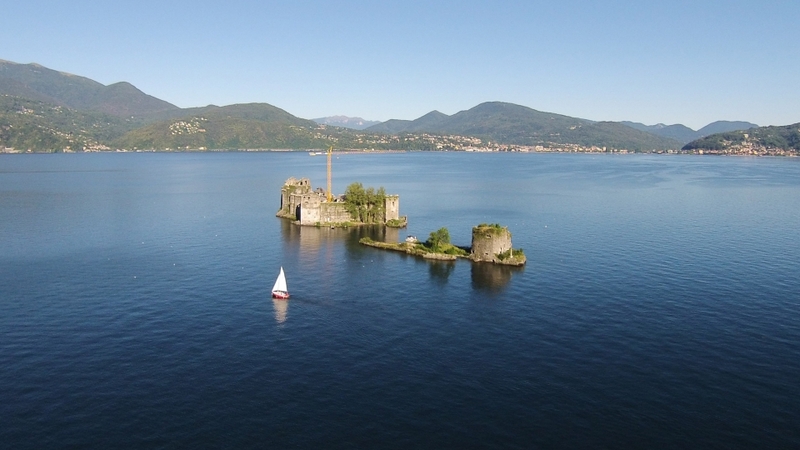 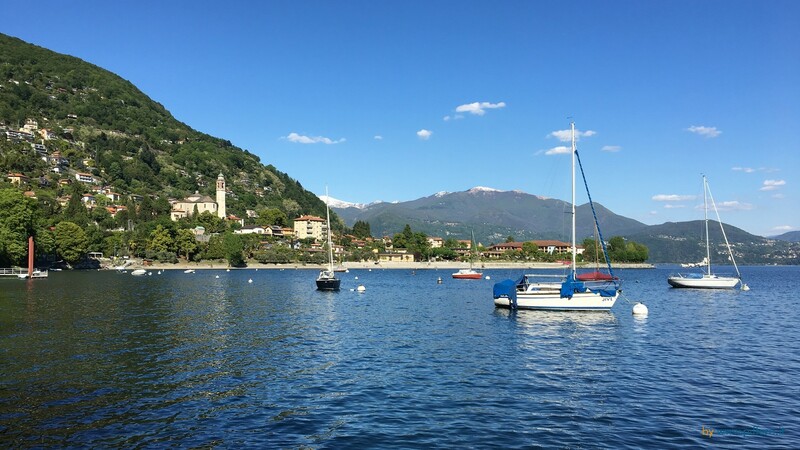 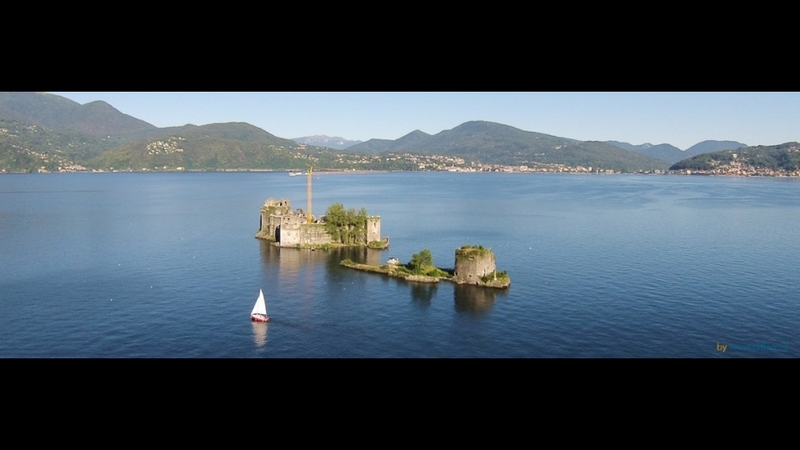 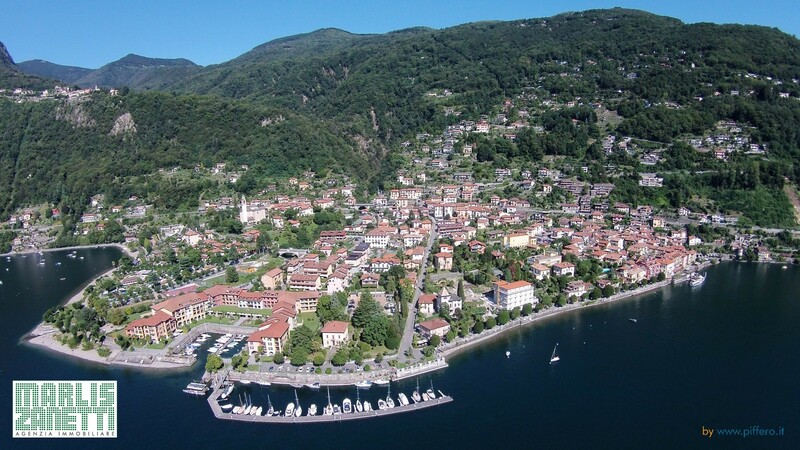 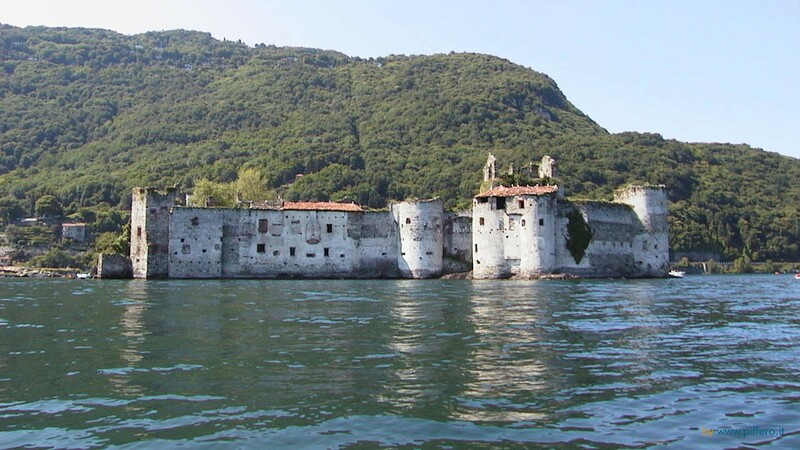 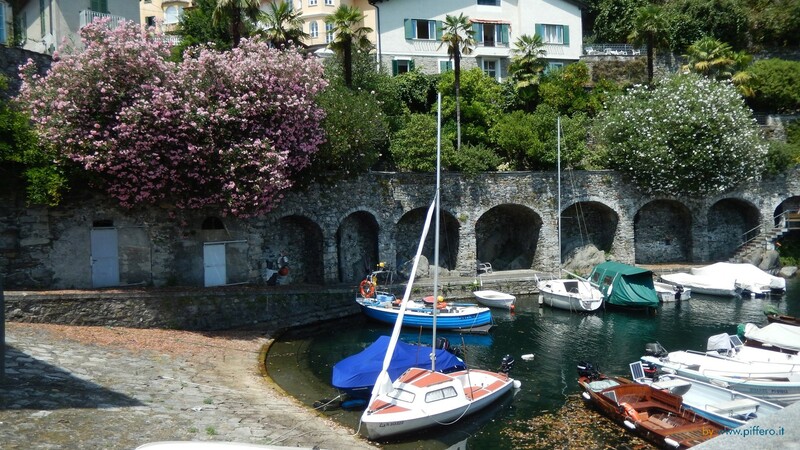 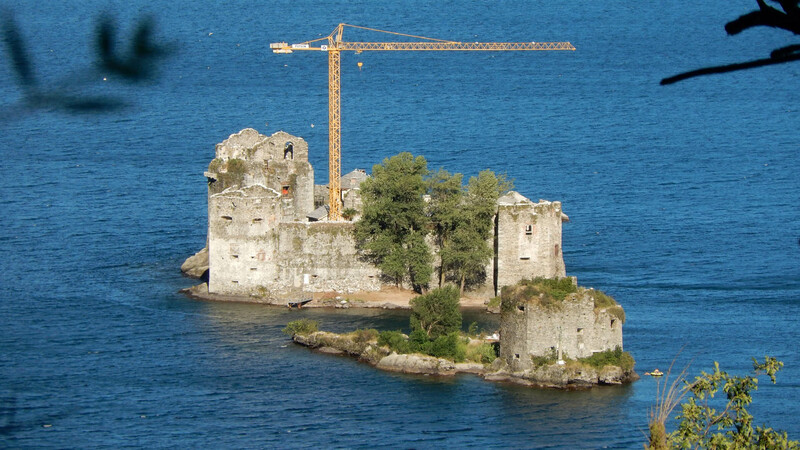 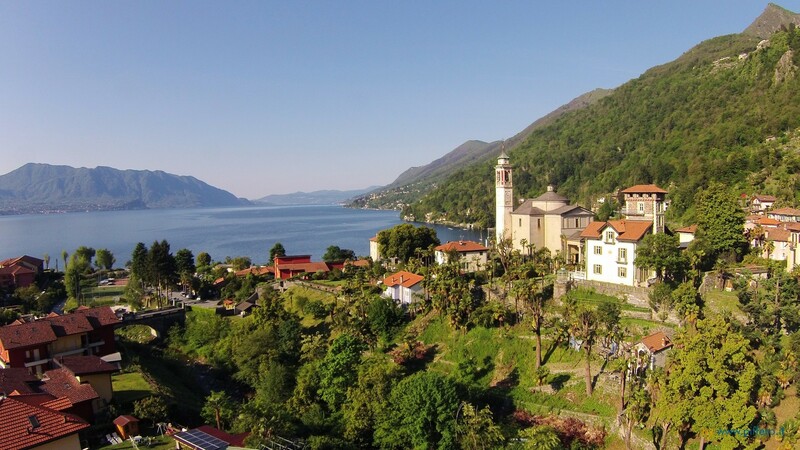 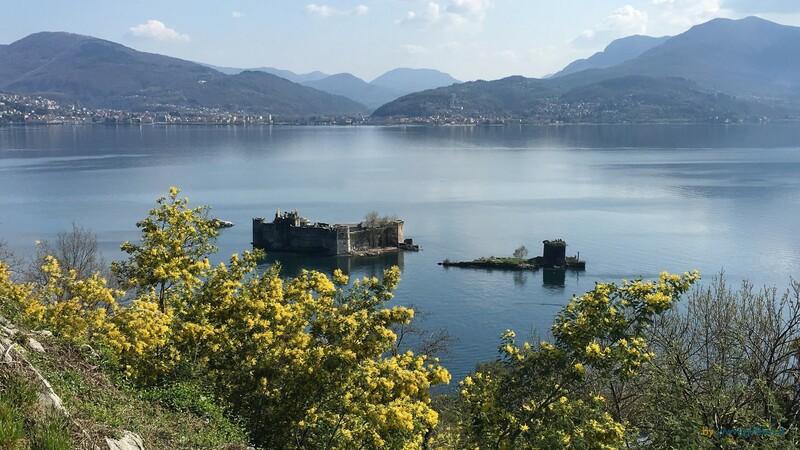 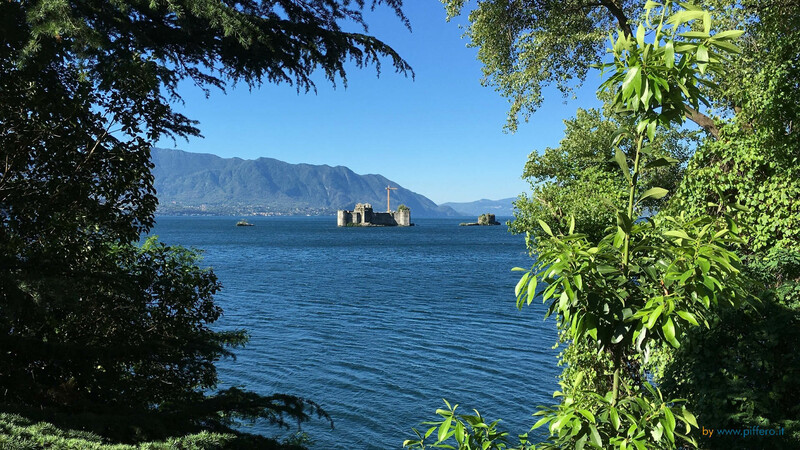 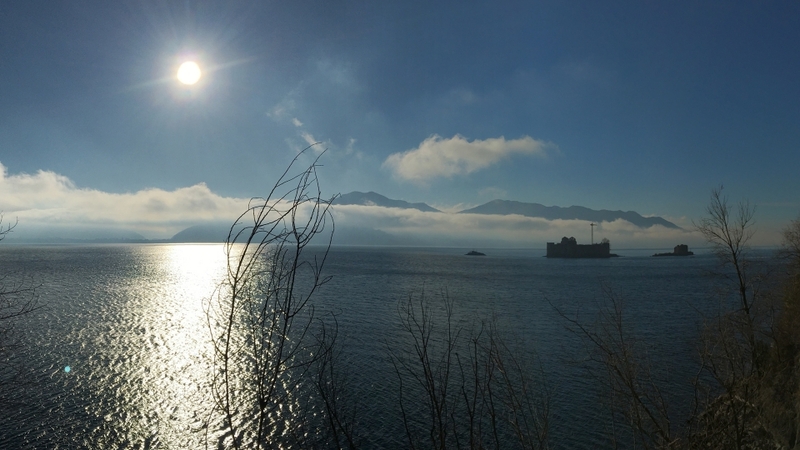 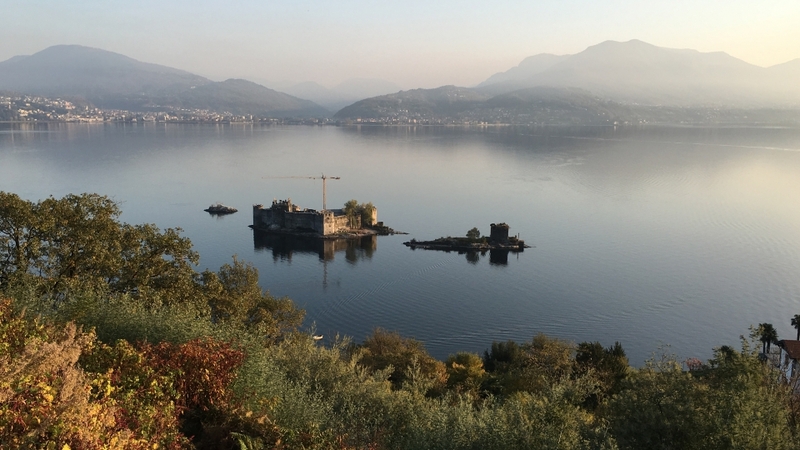 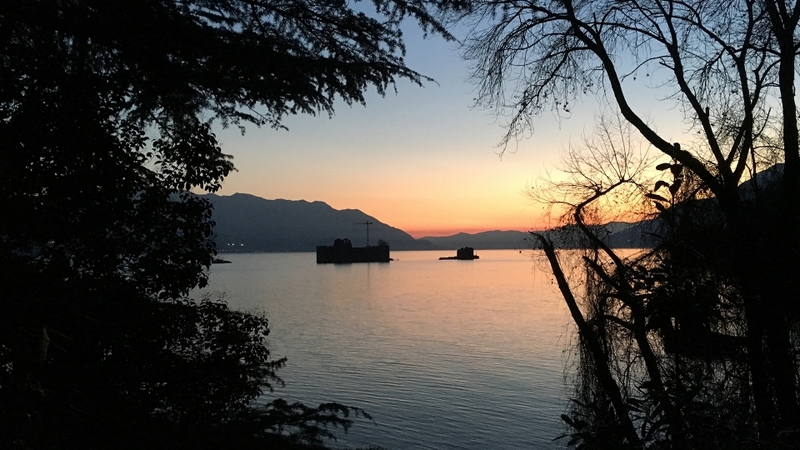 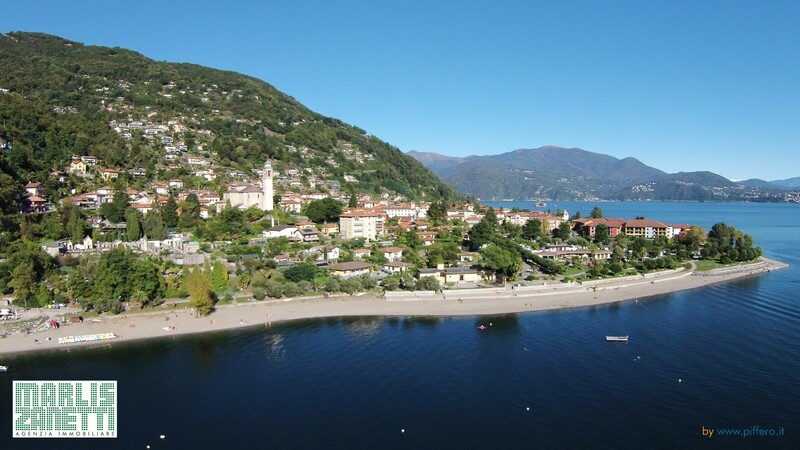 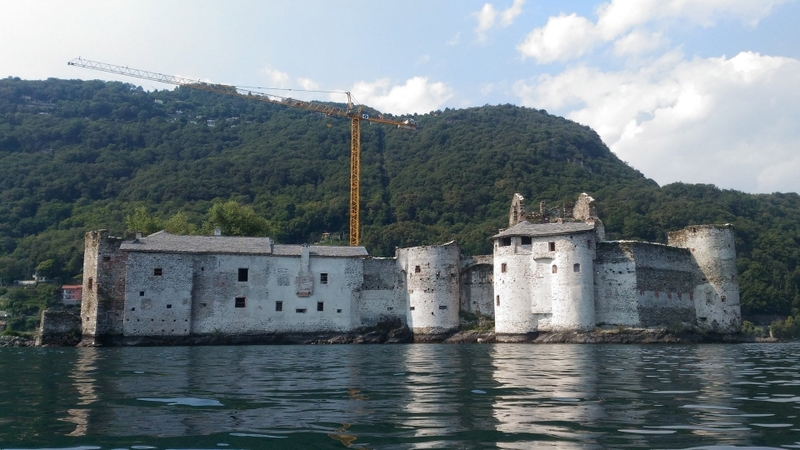 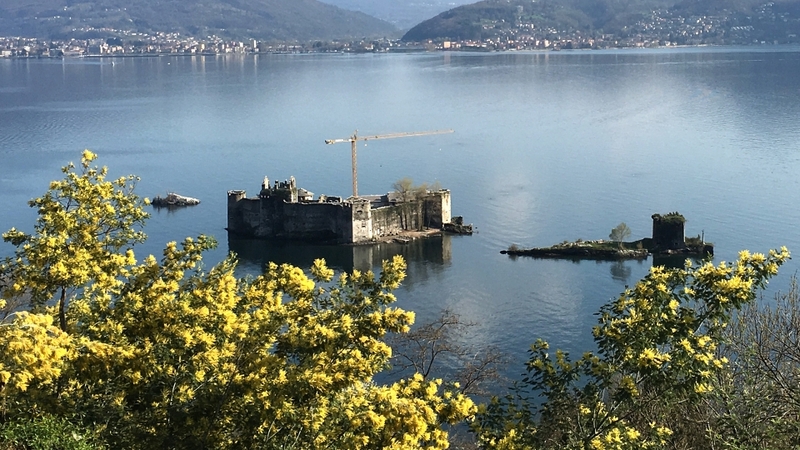 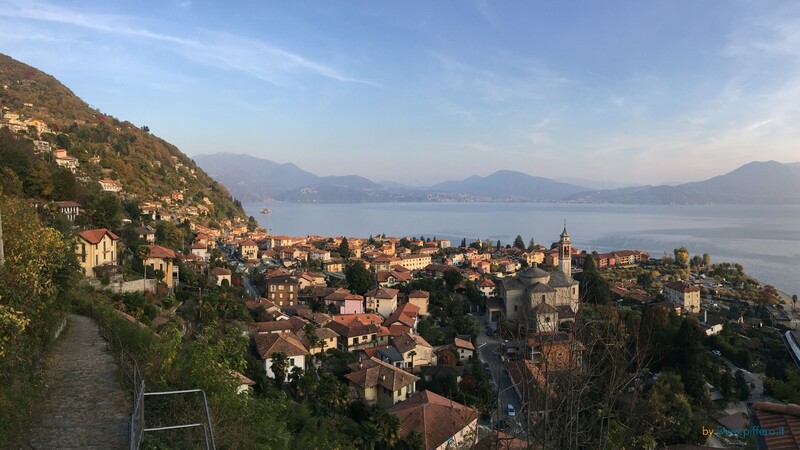 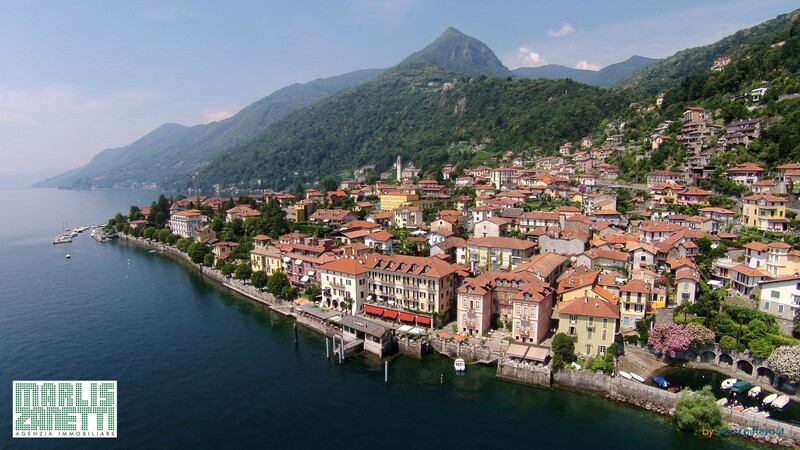 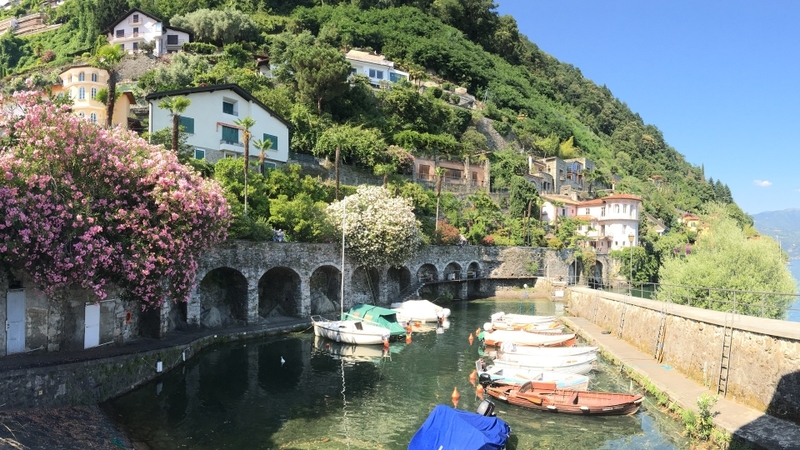 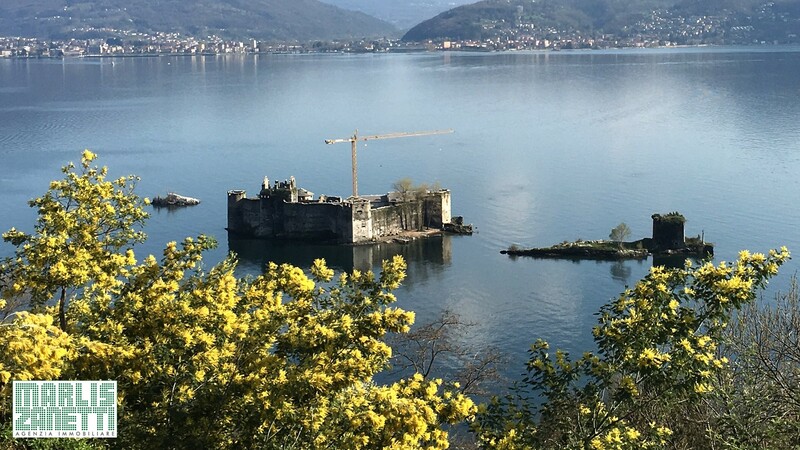 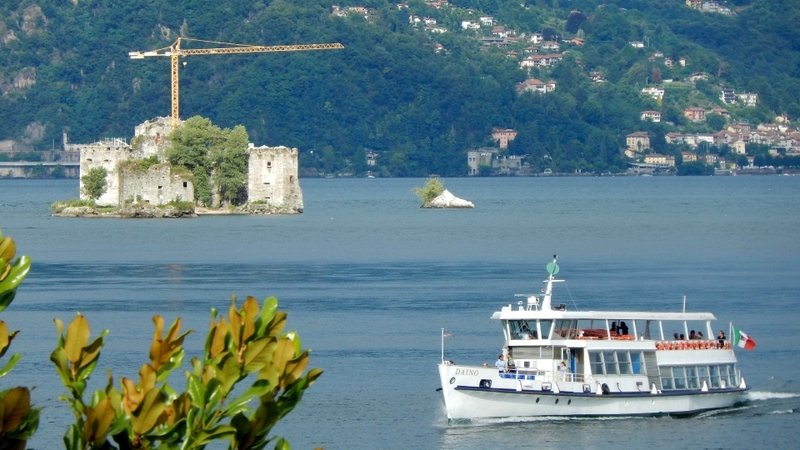 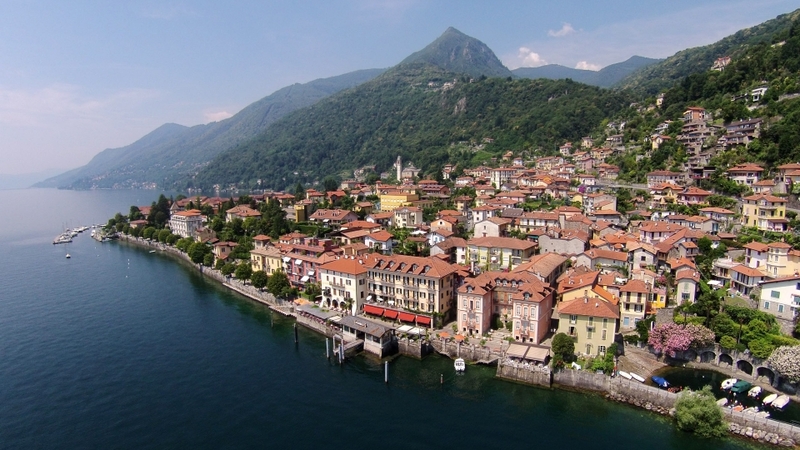 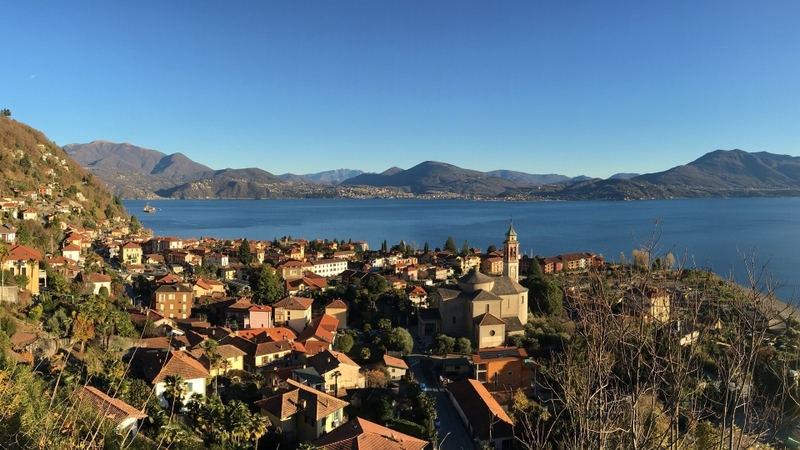 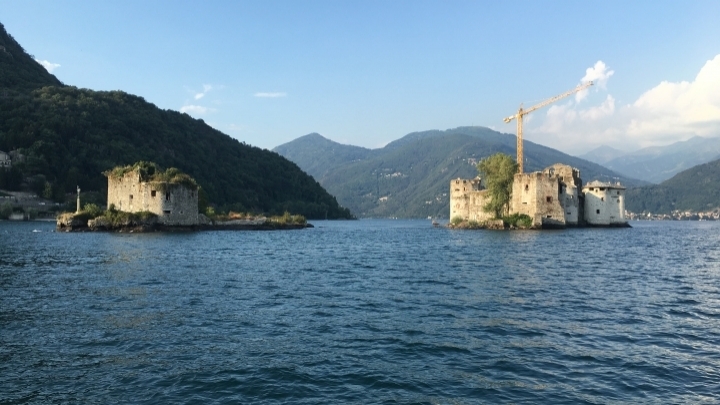 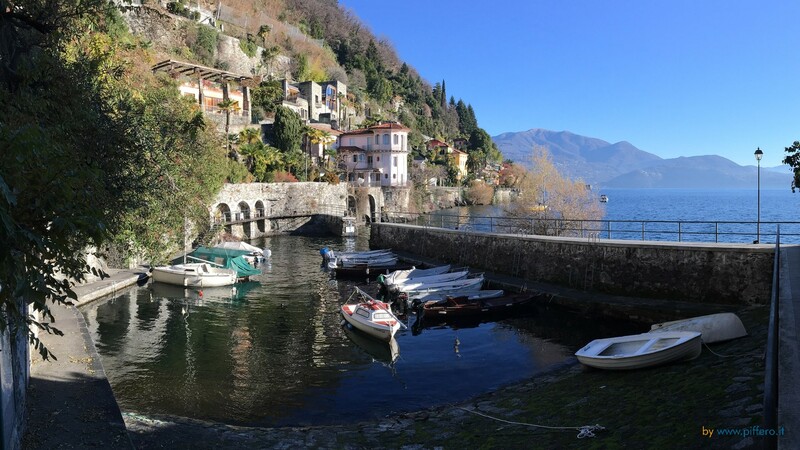 A boat trip to the “Castelli di Cannero” (Castelli di Malpaga) or with the regular course ship to the open street market in Luino on the Lombardy side or to the world-known Borromeo islands (Isola Bella, Isola Madre, Isola Pescatori) are well-liked excursions. 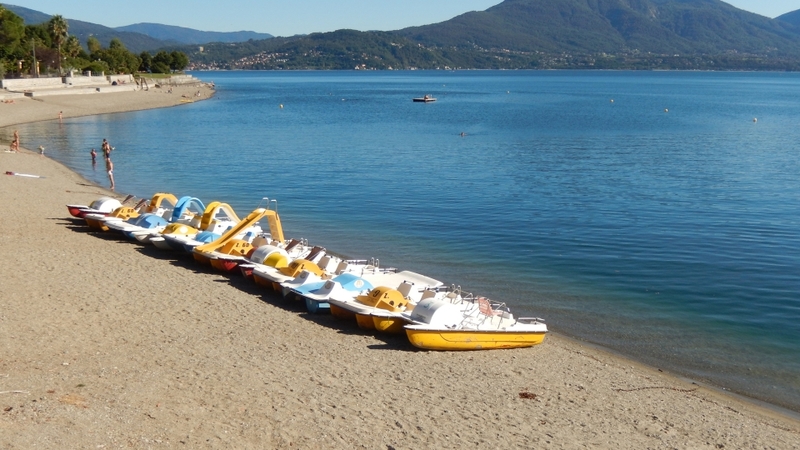 Besides the very well-kept beach area there is a wide range of water sport possibilities: sailing, surfing, motor boating (rental is possible), angling, scuba-diving. 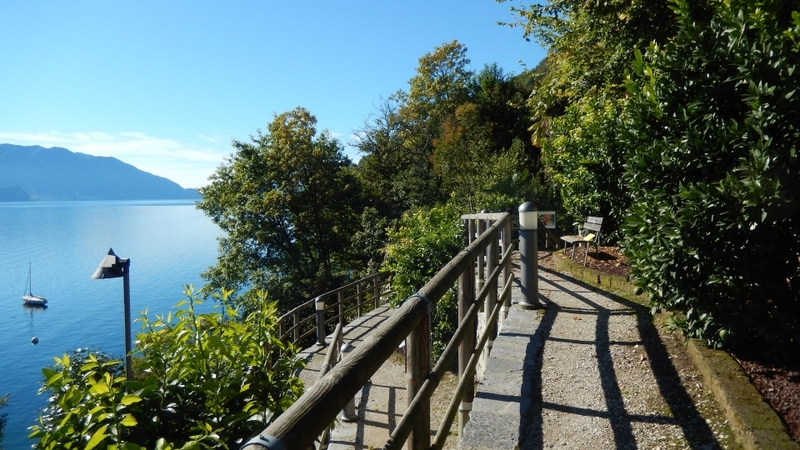 For hiking friends there are countless paths to the hamlets of Cassino, Ponte, Donego, Oggiogno (original wooden wine press from 1700), Cheggio, Carmine Superiore (medieval hamlet) or in the direction of Trarego-Viggiona. 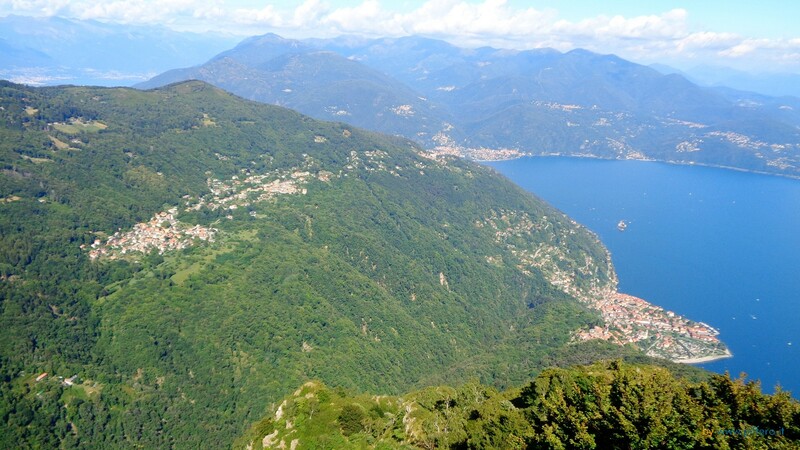 From Monte Morissolo (1.311 m above sea level) one has a breathtaking view over the whole Lago Maggiore, the Tessin and the Val Grande. 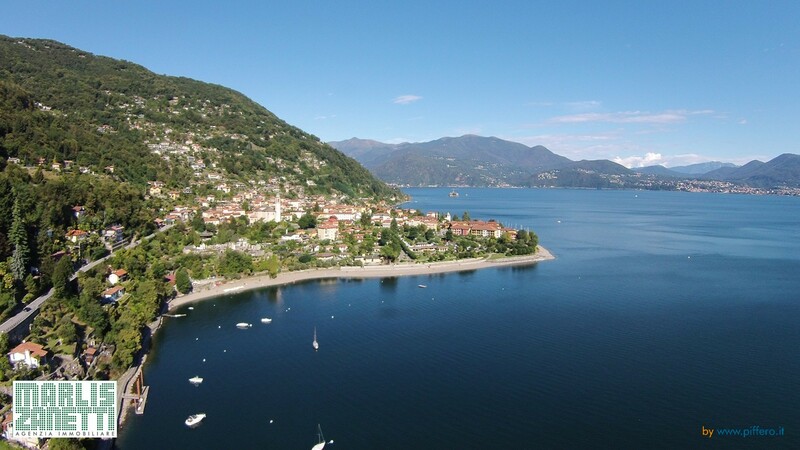 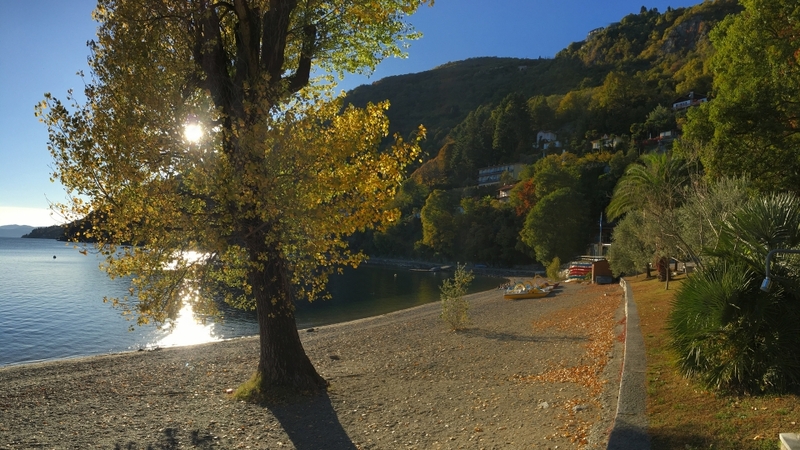 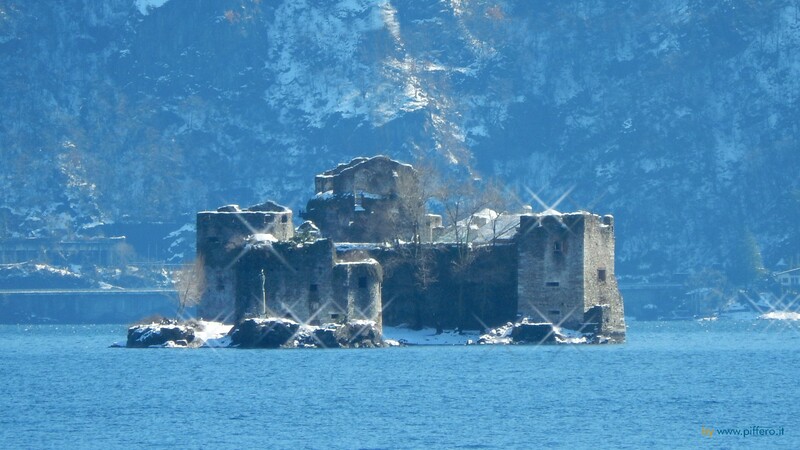 Several golf courses (Des Iles Borromees, Ascona, Premeno, Agrate Conturbia, Fondotoce) and well-known ski areas (Macugnaga, Splügen, San Domenico, San Bernadino) are reachable in about one hour by car. 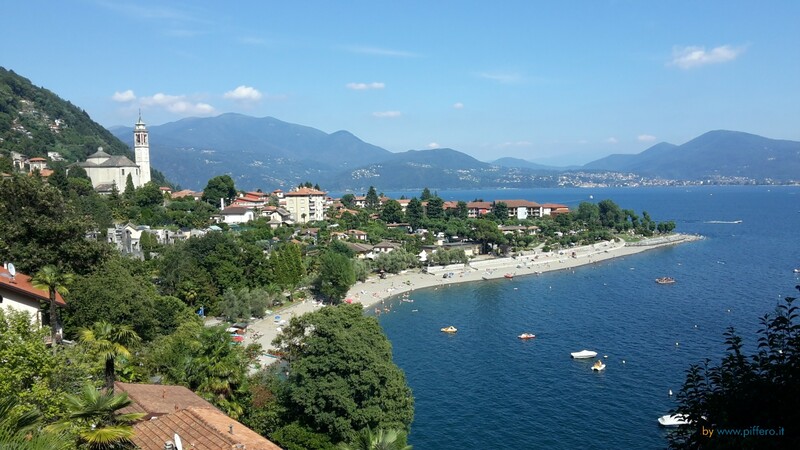 Especially attractive is the sea of candles which float on the lake and accompany the evening procession of the Madonna del Carmelo proceeding on the lake promenade (second Sunday in July). 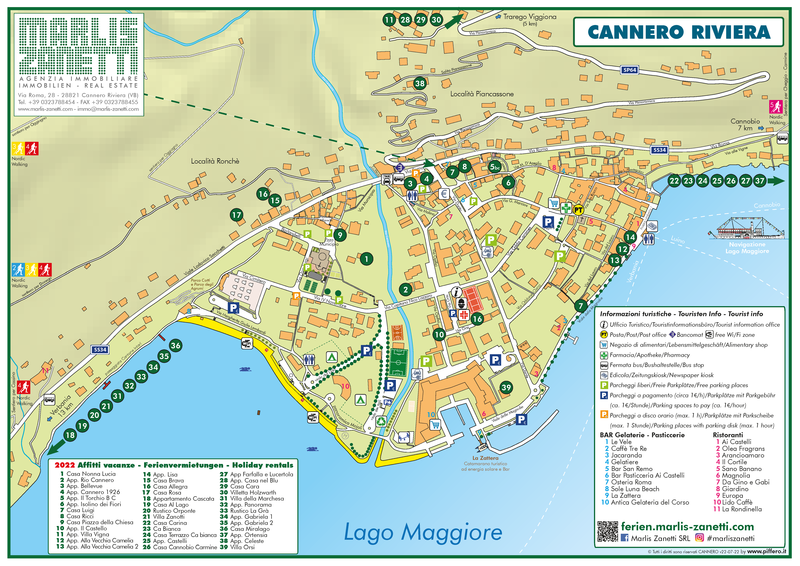 In Cannero exists a small ethnographic museum with a special department describing the brush and broom factory which was working until the beginning of the seventies. 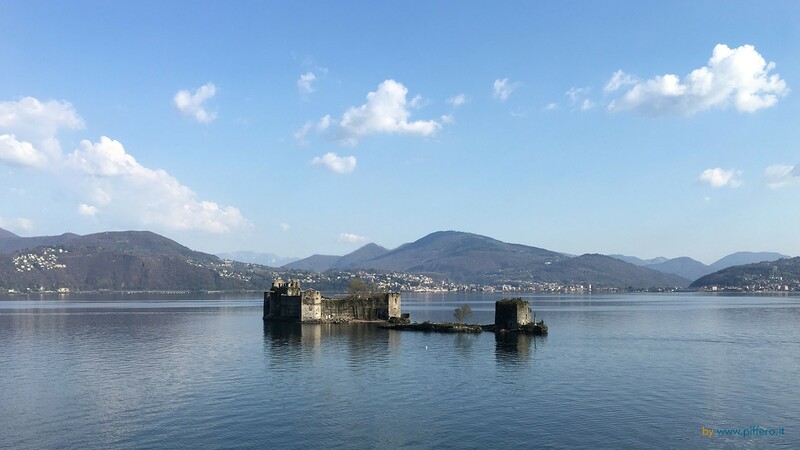 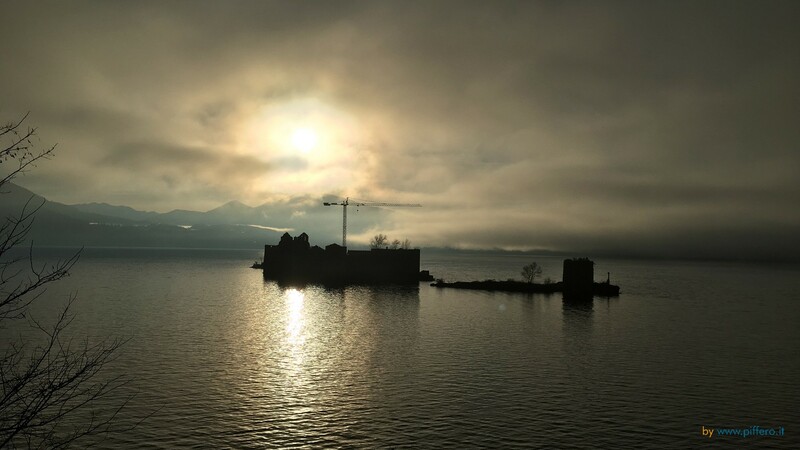 Train connections: Verbania Fondotoce (Milan-Simplon), Locarno (Gotthard line), Luino (Bellinzona-Milan). 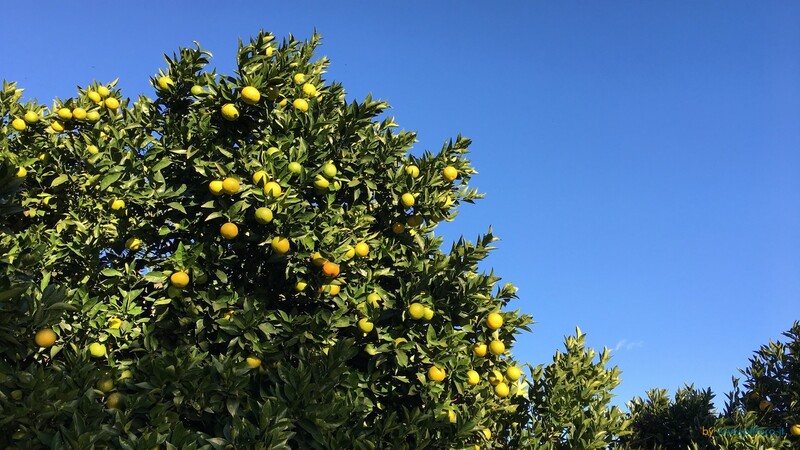 Shopping possibilities: Mini-Market and the Hapimag Residence shop (groceries), butcher, bakery, patisserie, pharmacy, greengrocers, haberdashers, art gallery, antiques, wine shop, weekly open street market.